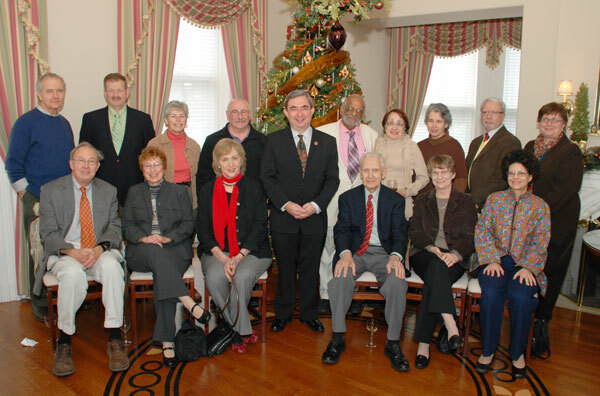 Retired Ramapo College faculty gathered at the Havemeyer House for a holiday luncheon. 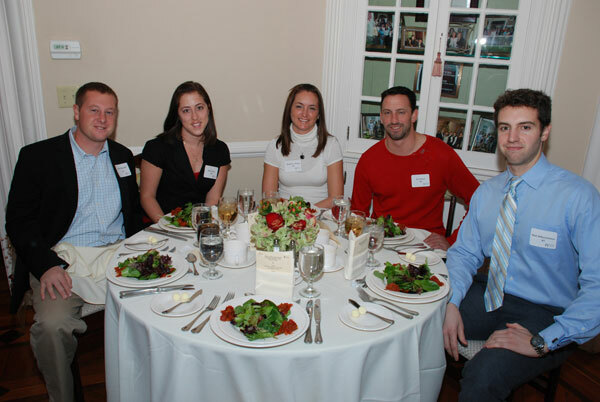 Ramapo College alumni who are employees of the College gathered at the Havemeyer House for a holiday luncheon. 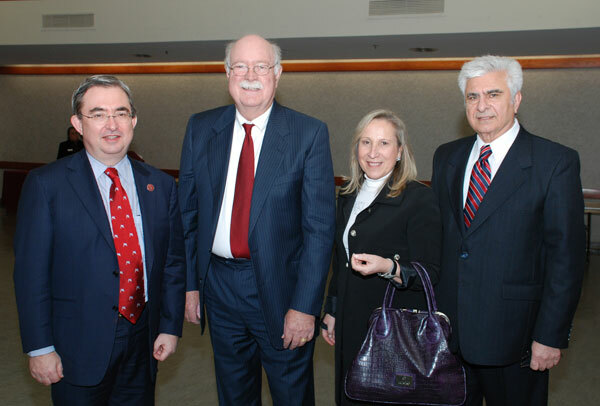 Cathy Davey, Vice President for Institutional Relations, President Peter Mercer, Florence and Professor Murray Sabrin and Anisfield School of Business Dean Lewis Chakrin honored the Sabrins for their contribution to the Sabrin Center for Free Enterprise. 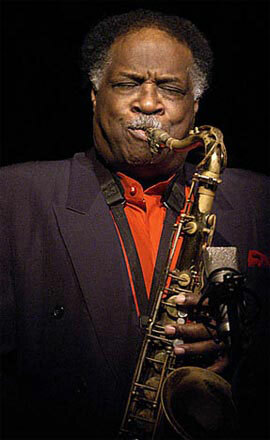 Jazz at the Berrie Center presents Tenor Boss Man, The Houston Person Quartet, Saturday, January 30, Sharp Theater, 8 p.m.
Construction of the Salameno Spiritual Center continues. 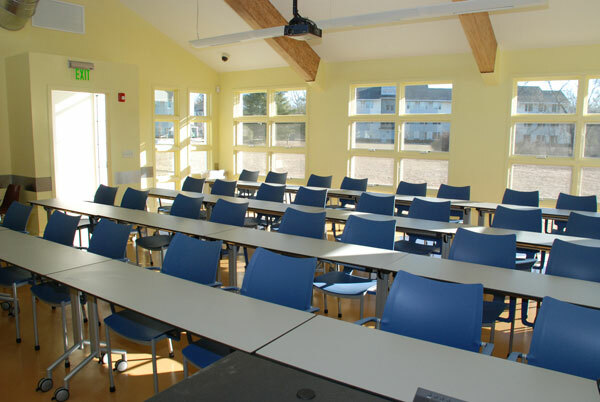 Ramapo College's Center for Innovative and Professional Learning is launching a new Yoga Certificate program with Workshops open to the public. 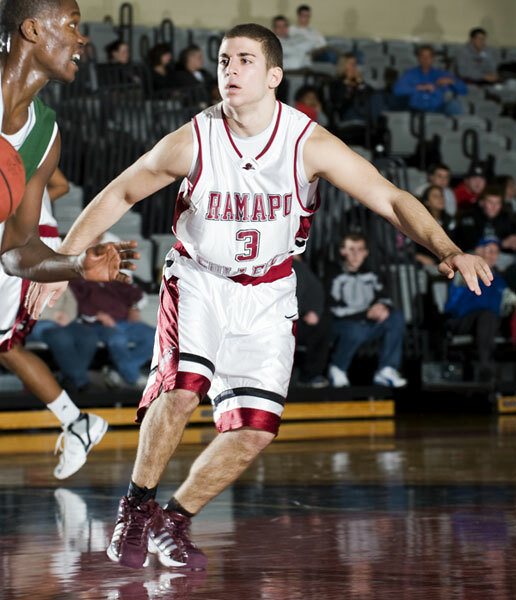 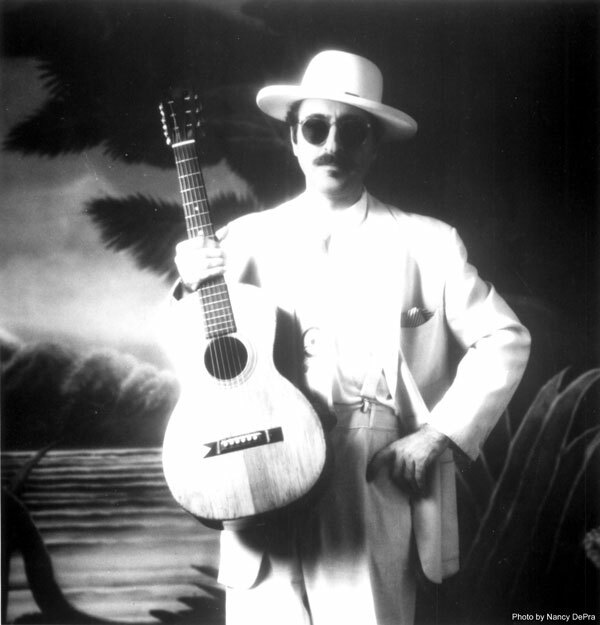 Ramapo Roadrunner Men's Basketball vs. Richard Stockton College, Saturday, January 23, Bradley Arena, 1 p.m.
Leon Redbone will perform at the Berrie Center, March 14, Sharp Theater, 3 p.m.
Members of the Ramapo College Filipino American Student Association at the College's Club Fair. 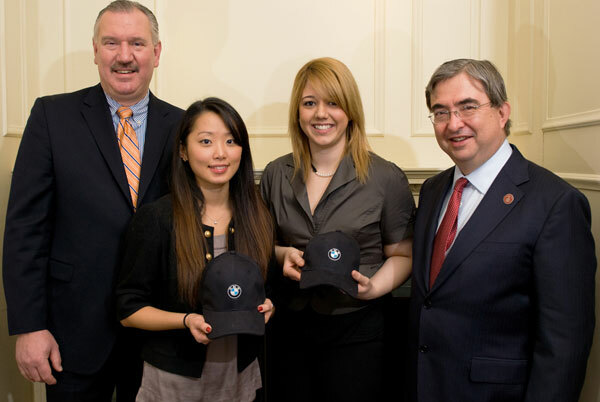 Wayne Orchowski, VP Eastern Division BMW of North America, LLC with BMW Diversity Scholarship recipients Jane Lee, Evelin Rodriguez and President Peter Mercer. 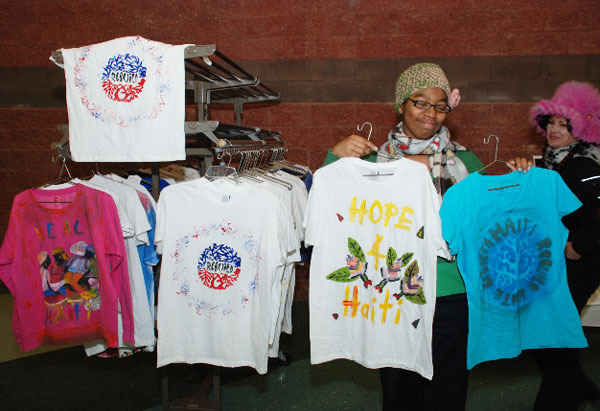 Ramapo College students help raise money for Haitian relief efforts by selling t-shirts they designed and printed. 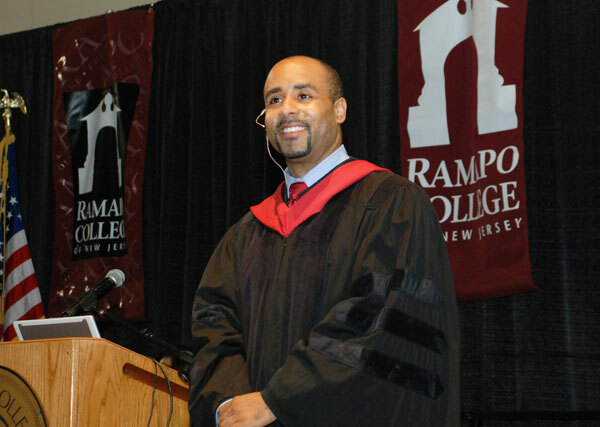 Dr. Tashel C. Bordere, University of Central Missouri, spoke at Ramapo College's Fourth Annual Diversity Convocation. 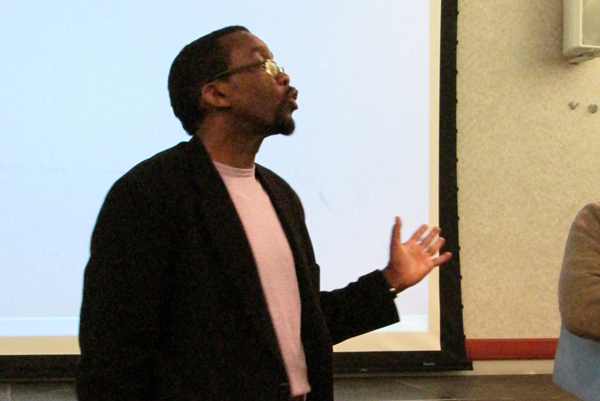 Ramapo College's African Ancestry Month Opening Speaker, Llew Smith. 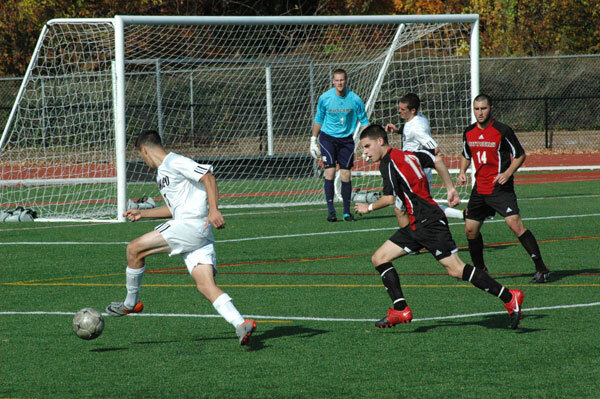 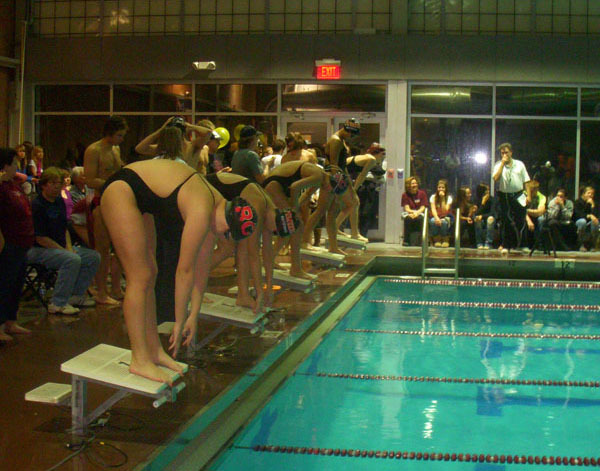 Ramapo College's swim teams ended the season with a victory over William Paterson. 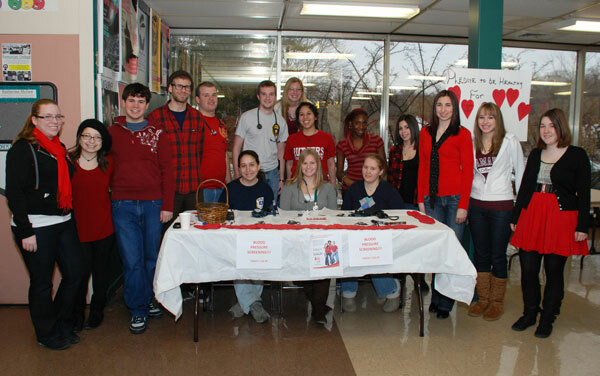 Ramapo College students raised cancer awareness during 'Go Red for Women' activities. 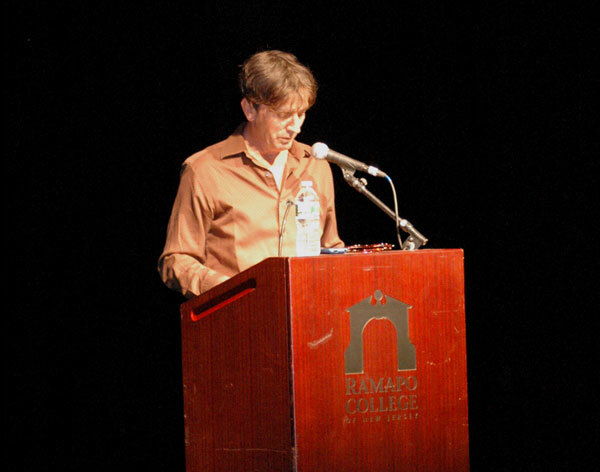 Past President Robert A. Scott lead a discussion about the arts during Ramapo College's Berrie Center 10th Anniversary celebration. 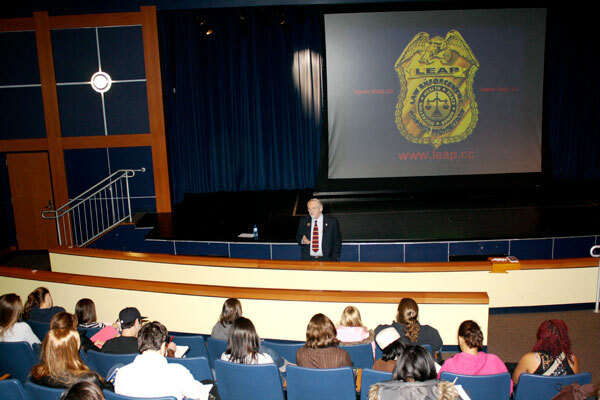 Ramapo College students created their own stuffed plush animals for Valentine's Day as part of a fund raiser for student events. 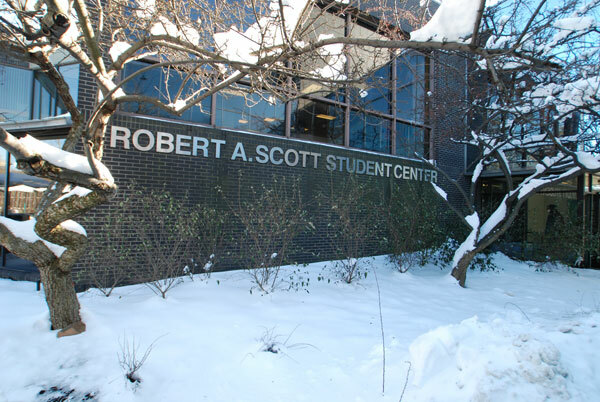 Ramapo College's Scott Student Center after a winter snow storm. 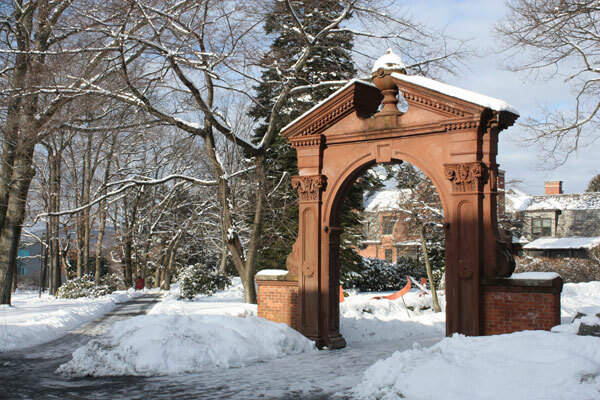 The Havemeyer Arch in winter. 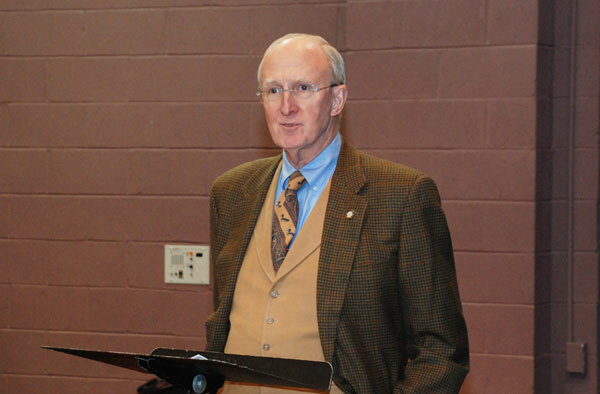 President Mercer delivered the State of the College Address. 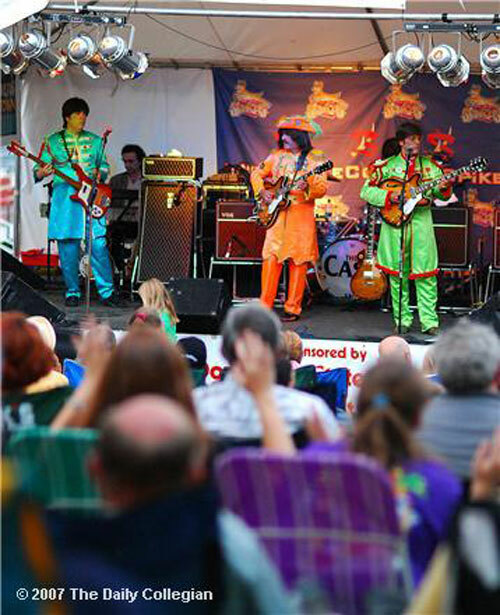 The Cast of Beatlemania will perform at the Sharp Theater, April 24, 8 p.m.
George Kuh, Chancellor's Professor and Director Indiana University Center for Postsecondary Engagement will speak at Ramapo College, March 10, Sharp Theater, 10 a.m.
Rampo College Board of Trustees Chair A. J. Sabath '93 participated in a Ramapo College American Democracy Project Cafe Demos. 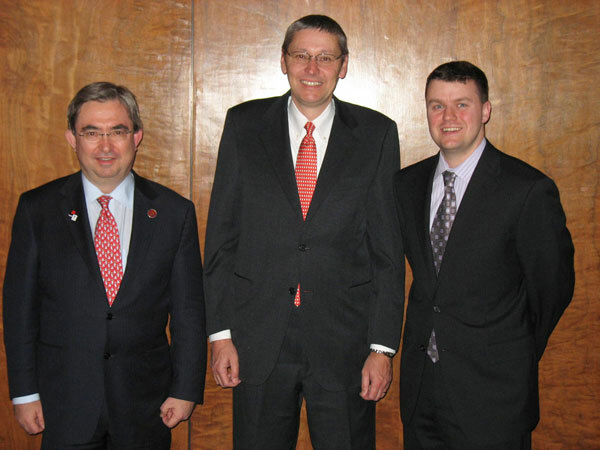 President Mercer, Ramapo College Professor and Director of the Eastern Economic Association Alex Olbrecht and Association President N. Gregory Mankiw at the Association's Annual Conference. 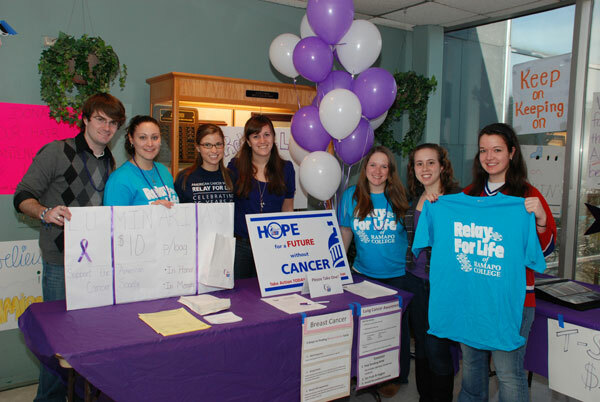 Ramapo students help support cancer awareness and the upcoming Ramapo College Relay for Life on March 26. 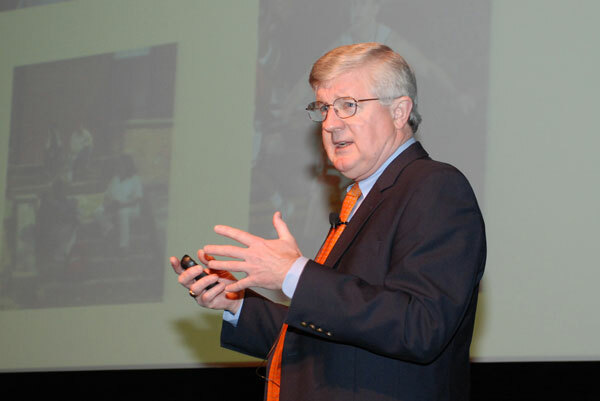 President Mercer, Jon M. Strolle, keynote speaker at the College's World Language and Culture Symposium, American and International Studies Dean Hassan M. Nejad and Professor Rosetta D'Angelo. 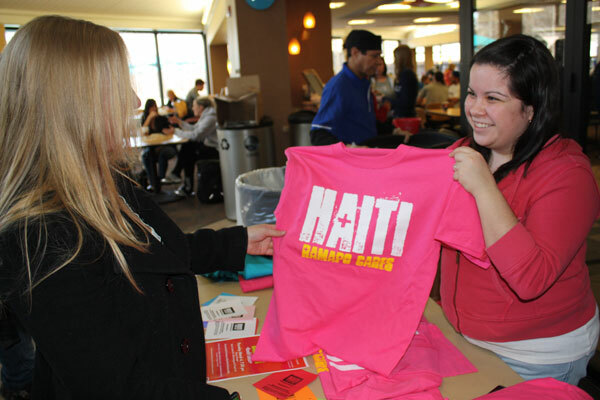 Ramapo College students sell t-shirts as part of the College's ongoing efforts to raise money for Haiti relief. 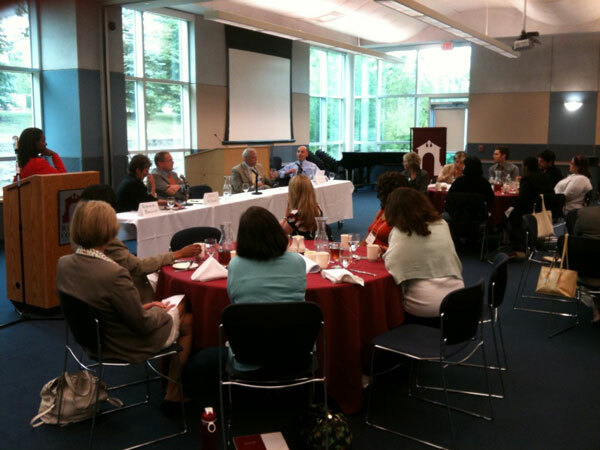 Ramapo College's Trenton Alumni Chapter held a luncheon meeting. 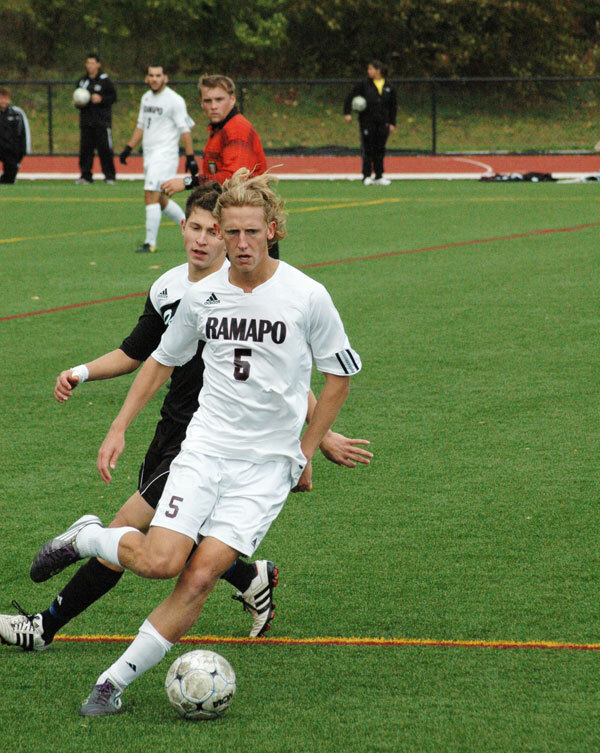 Ramapo Roadrunner's Volleyball team continues winning season. 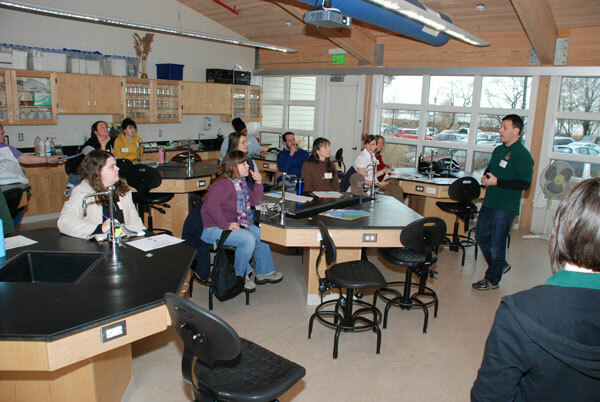 Ramapo College and MarshAccess presented a national conference 'Designing and Implementing Accessible Informal Science Education Programs' at the Meadowlands Environmental Center. 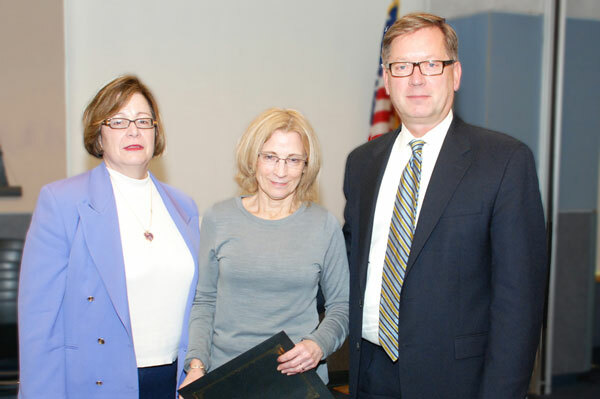 Ramapo College's Thomases Award recipient Bonnie Blake, Professor of Graphic Design, with Provost Beth Barnett and School of Contemporary Arts Dean Steven Perry. 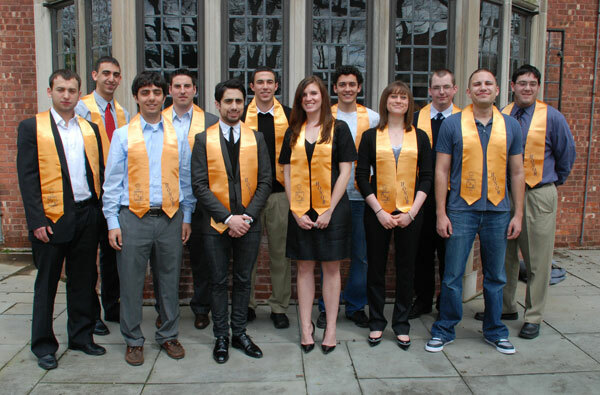 2010 Omicron Delta Epsilon student inductee, Ramapo College's Economics Honor Society. 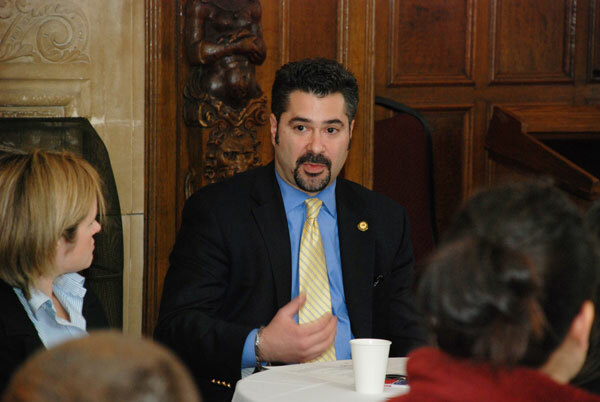 Distinguished Ramapo alumni participated in Cahill Career Center panel on successful job interviewing. 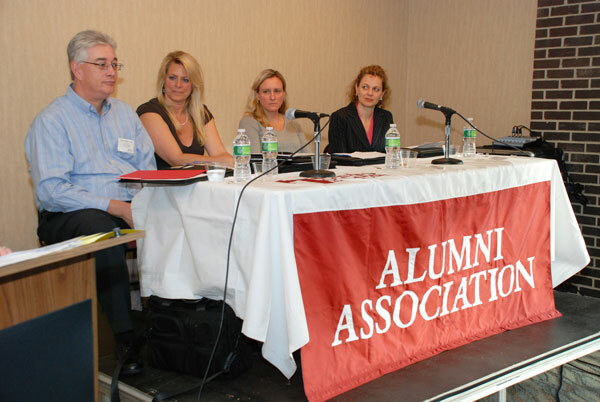 (L to R) Scott Stahlmann of TIAA-CREF, Kim Albano of ESPN, Melissa Schmieder of Biudd Larner, P.C. 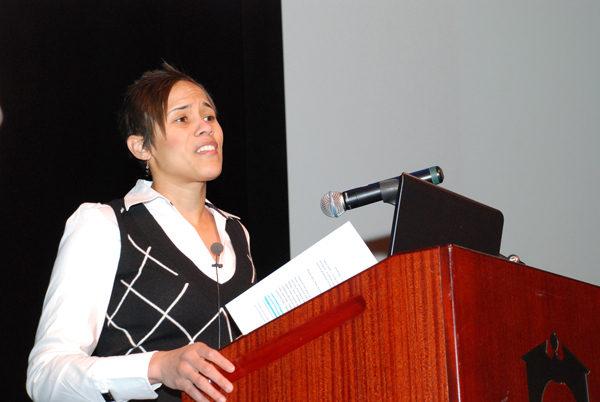 and Jennifer Grinthal of Coperion Corporation. 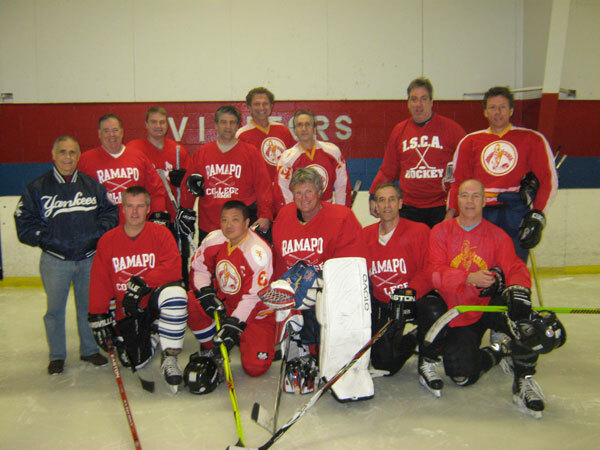 Ramapo College's Ice Hockey alumni team defeated the Fairleigh Dickinson University Ice Hockey alumni team in a contest on March 27. 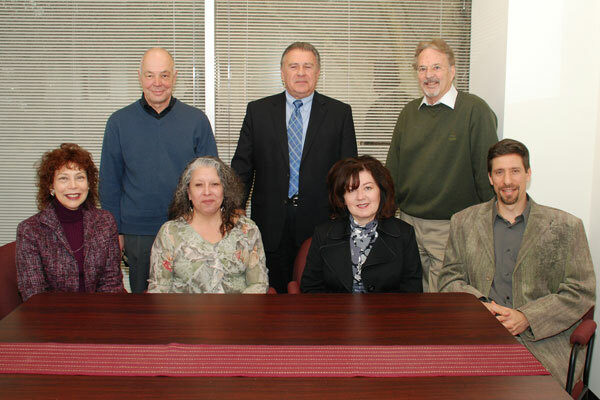 Ramapo College Honors program Advisory Board. 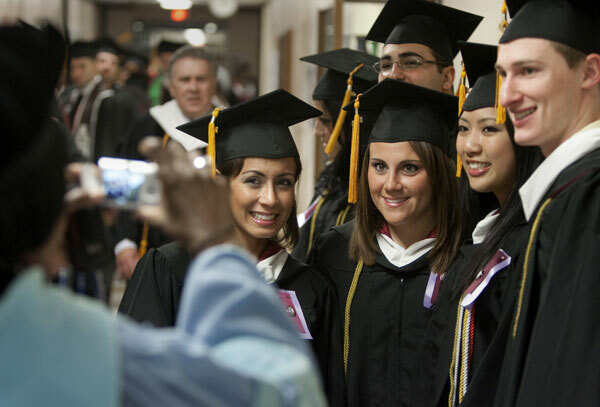 Seated, Professor Frances Shapiro-Skrobe, Honors Program Director Marta Vides, Professor Edna Negron and Professor Eric Weiner. 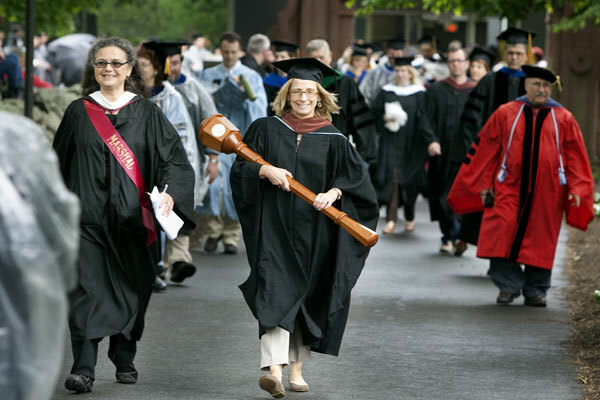 Standing, Professor Bernard Roy, Dean of the School of Theoretical and Applied Science Bernard Langer and Professor William Frech. 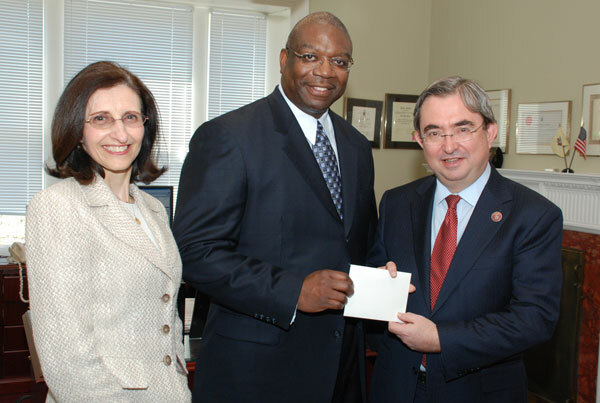 UPS presented a generous contribution to the Ramapo College Foundation Distinguished Citizens Dinner. 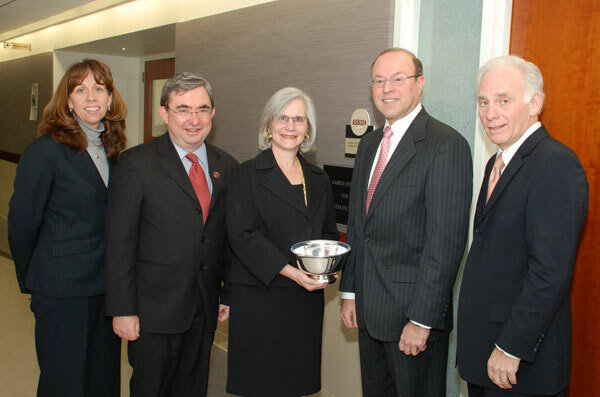 Pictured, UPS Human Resources Representative Maureen Hirsch, Ramapo College President Peter P. Mercer and UPS Director of Human Resources Henry Beards. 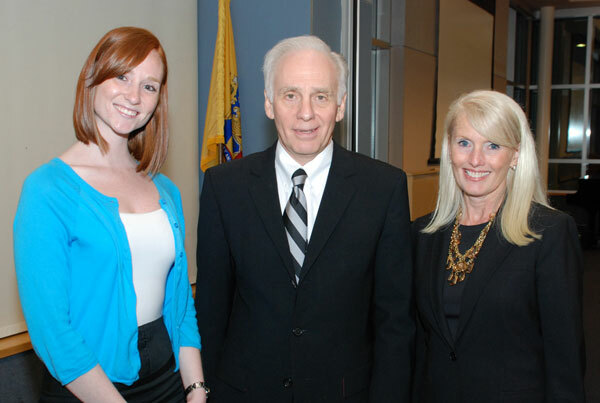 Melissa Laaninen, outstanding student member of Delta Mu Delta business student honor society with Lewis Chakrin, Dean of the Anisfield School of Business and outstanding Professor member Teresa Hutchins. 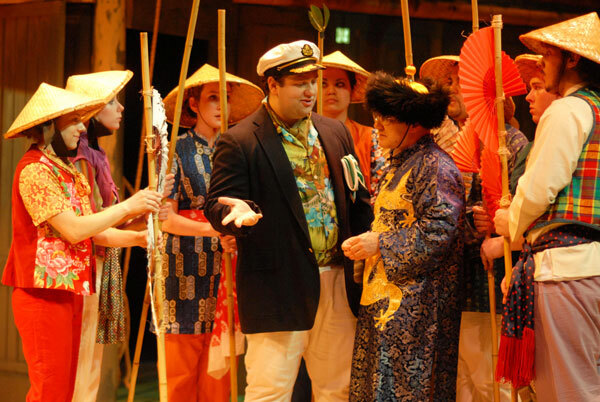 Ramapo Student production of 'Taming of the Shrew' continues in the Sharp Theater through April 17. 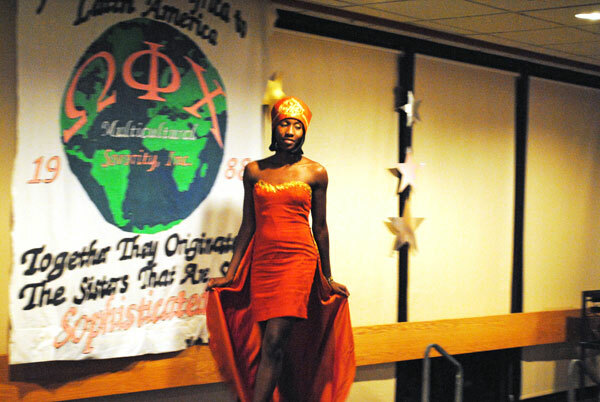 Ramapo College's Inter-Greek Senate held a fundraiser for HIV/AIDS Awareness and Poverty in Africa called 'Celebrity Scoops at Rita's' with President Peter P. Mercer participating. 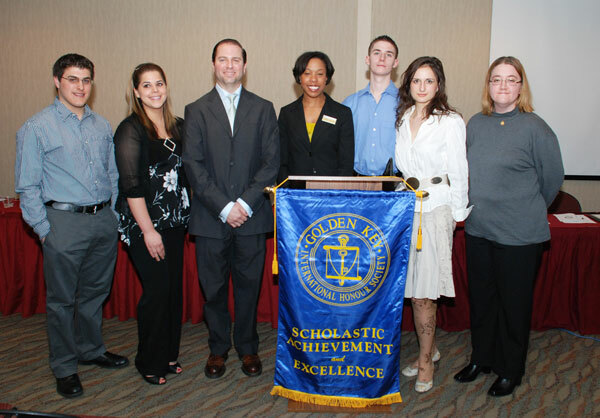 The Golden Key International Honor Society advisor Aaron Lorenz joined members of the group in honoring graduating seniors for scholastic achievement and excellence. 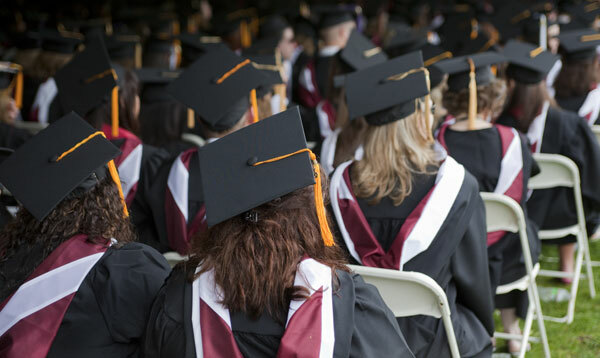 Graduating seniors in Ramapo College's Honor Program were honored for their academic achievements. 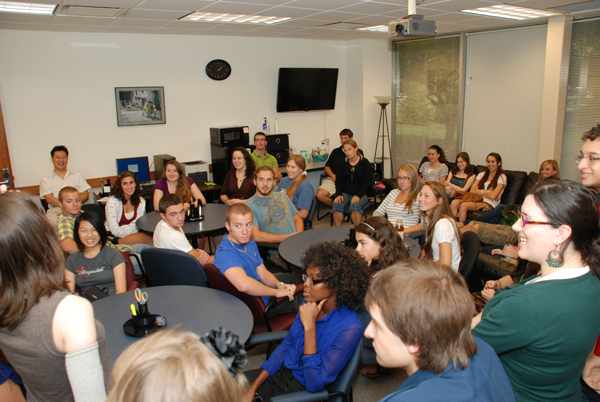 Ann Coulter, conservative social and political commentator, author and syndicated columnist, spoke at Ramapo College. 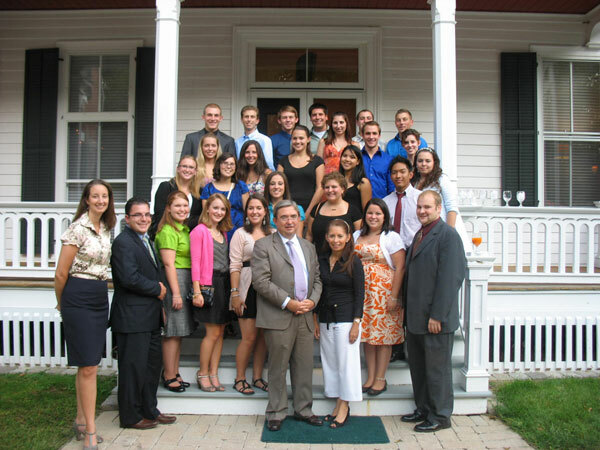 President Mercer greeted the new Student Government Association (SGA) at the Havemeyer House. 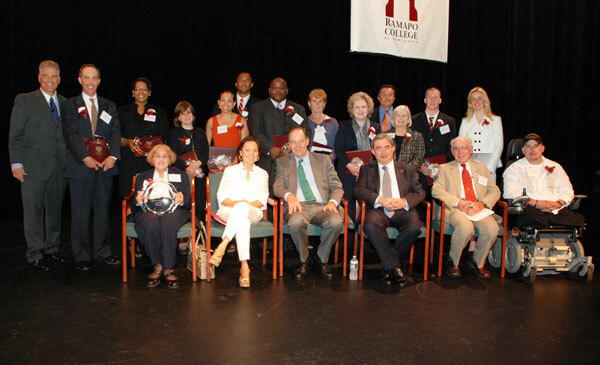 Ramapo College Alumni gathered for an all Greek Reunion. 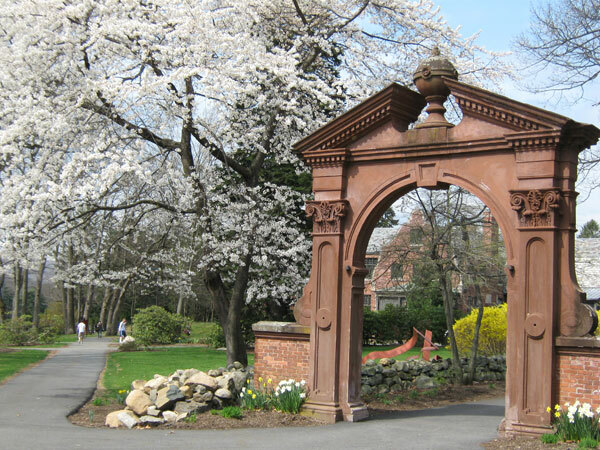 The Havemeyer Arch surrounded by early spring blooms. 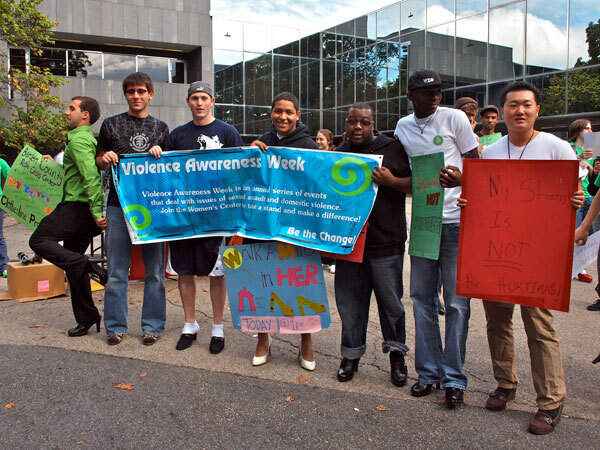 Ramapo College Greek organizations raised money to fight poverty and AIDS in Africa as part of their Greek Week activities. 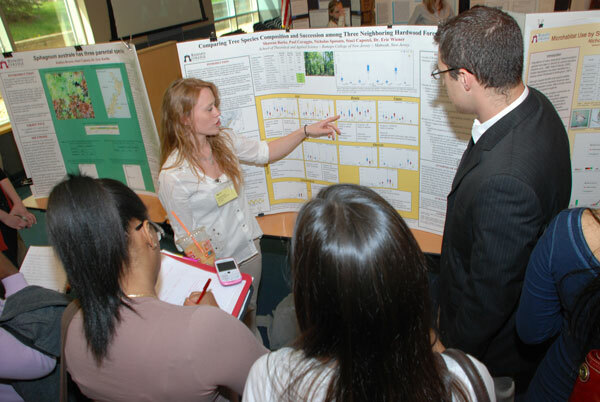 Students in Ramapo College's School of Theoretical and Applied Science (TAS) presented research projects during the Ninth Annual TAS Student Research Symposium. 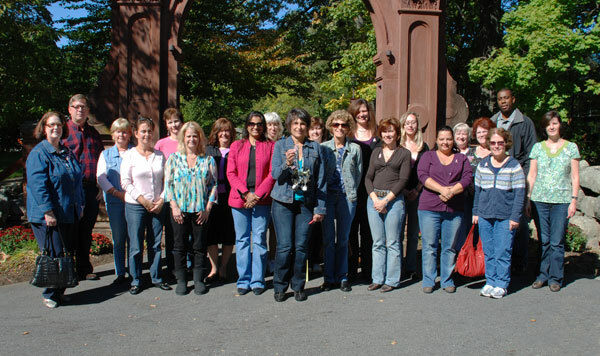 Ramapo College nursing alumni held a 10th anniversary reunion. 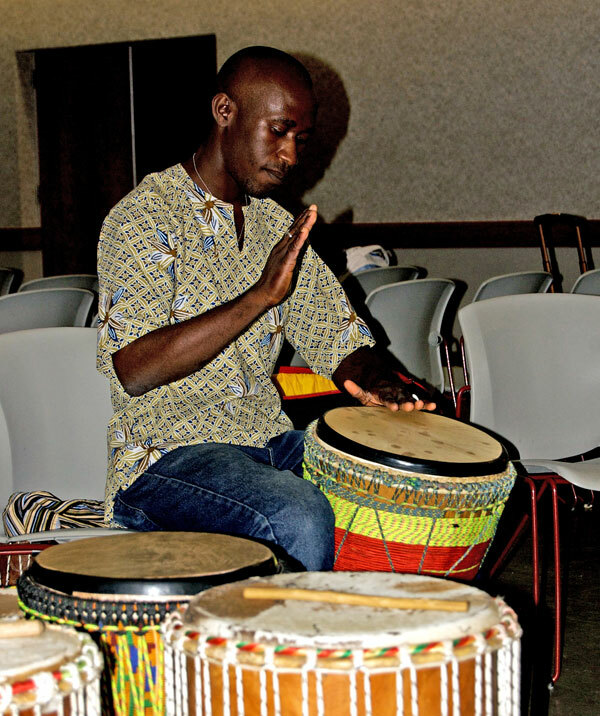 The College's Sigma XI Scientific Research Society Induction and Science Student Award Ceremony was held to honor student scientific achievement. 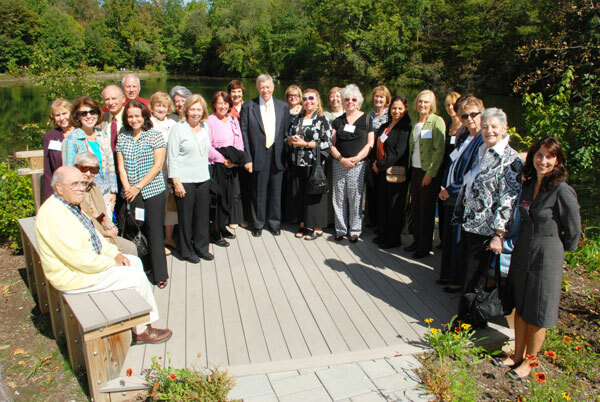 Ramapo College's Women's Center held a reunion to honor Lee Sennish and Barbara Harrison, founding directors. 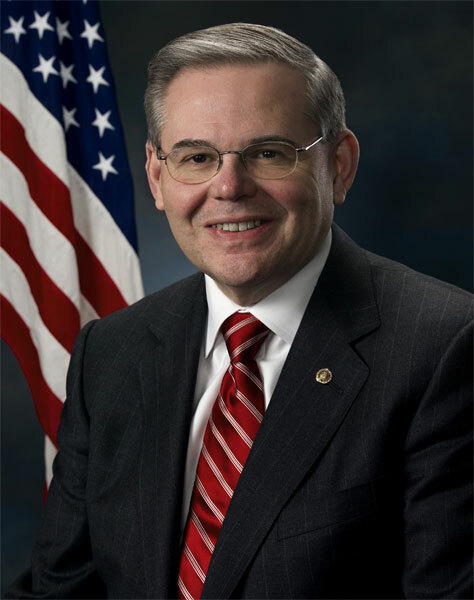 United States Senator Robert Menendez will be Ramapo College's 2010 commencement speaker, May 14. 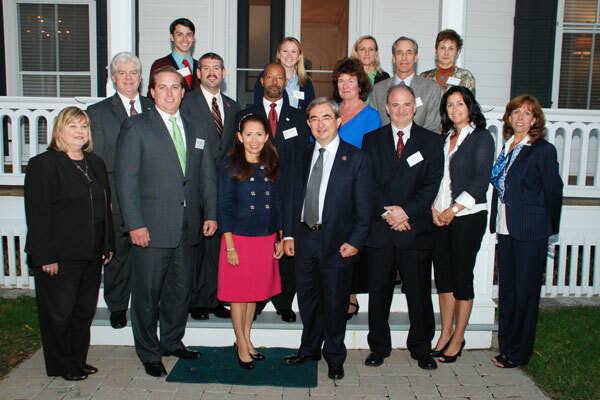 President Mercer hosted members of the College's Business Partners Program at a reception in the Havemeyer House. 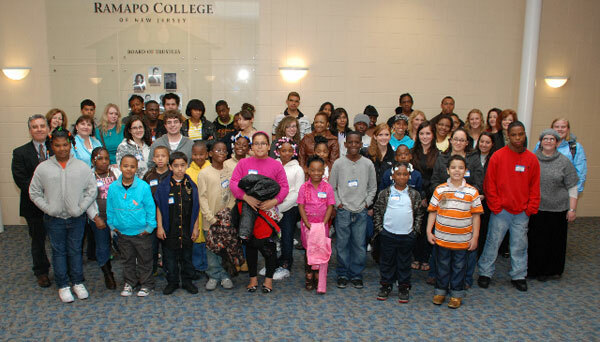 Ramapo College's Student Literacy Corps, tutees and chaperones from Paterson's Eastside High School and Public School 28, participated in Introduction to College Day. 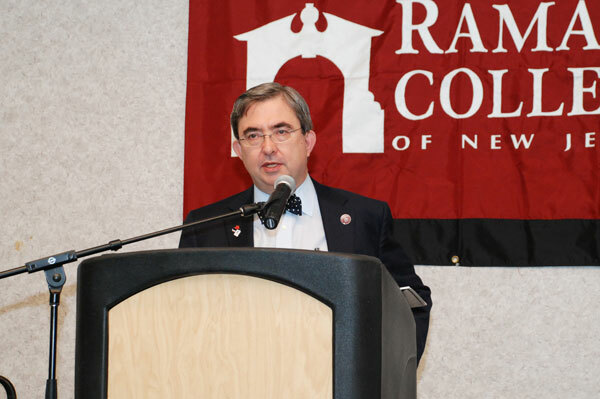 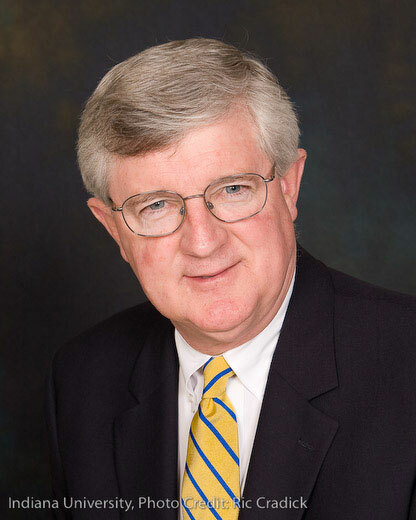 At an April 26 meeting the Ramapo College Board of Trustees welcomed George C. Ruotolo, Jr., CFRE, as its newest member. 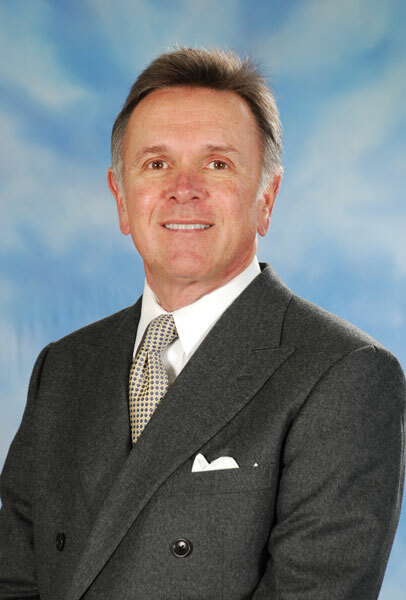 Ruotolo is Chairman and CEO of Ruotolo Associates Inc., a fundraising and communications firm for philanthropic organizations. 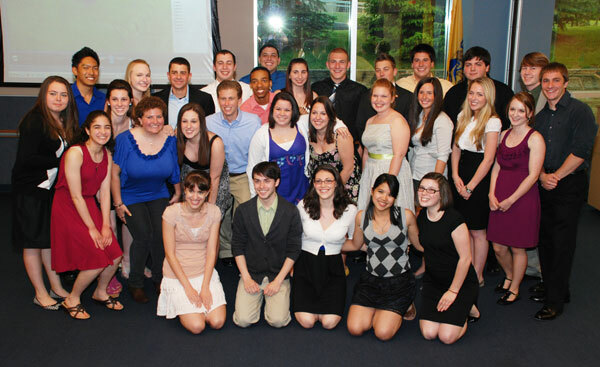 Members of the Class of 2010 at the Student Leaders Awards Dinner. 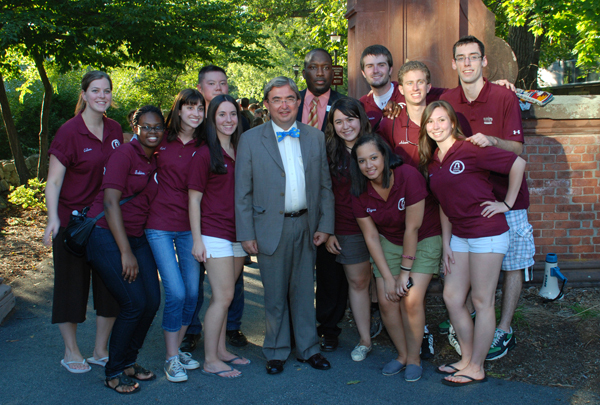 Members of the Ramapo College Student Government Association (SGA). 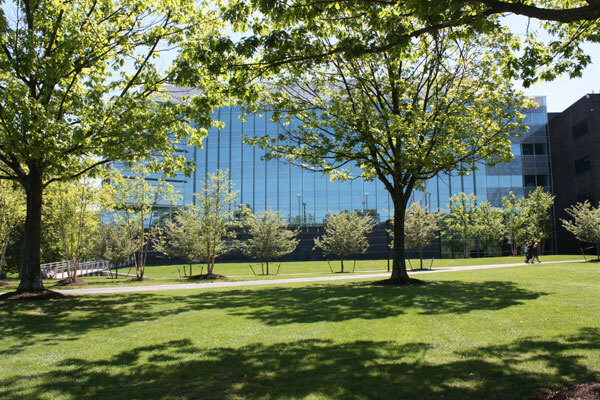 The Anisfield School of Business surrounded by new shrubs and trees. 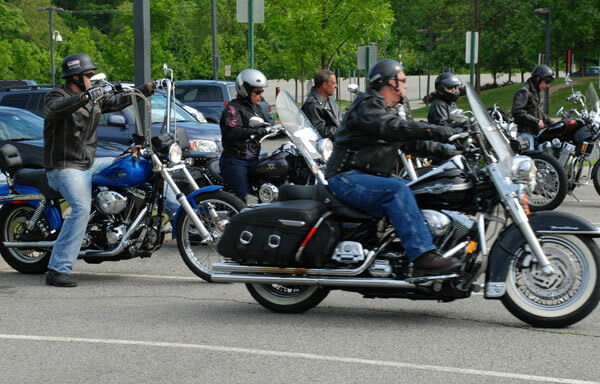 The Ramapo College Foundation held a successful Motorcycle Poker Run Rally to support student scholarships and undergraduate research programs. 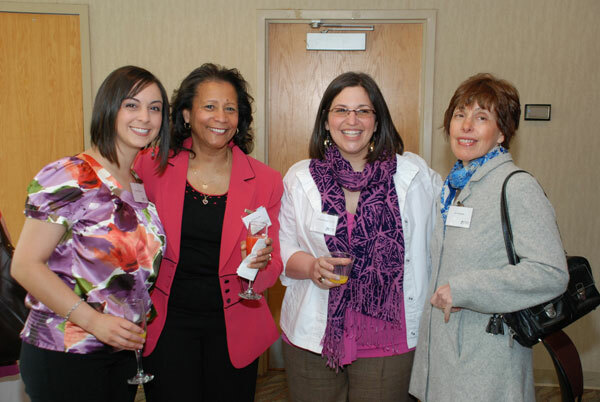 The Alumni Association hosted the class of 2010 at the Bradley Center during their Annual Champagne at Sunset dinner. 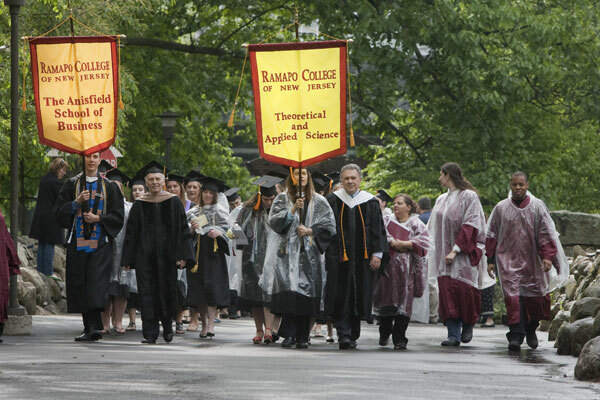 Commencement 2010 (Photo Jeff Rhode). 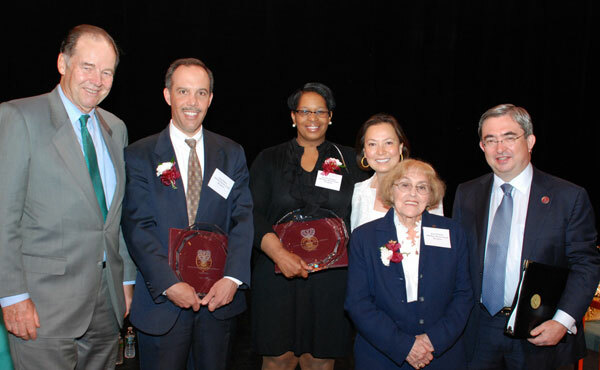 The Honorable Thomas Kean, award recipients Chip Paillex and Natasha Rodgers, Russell Berrie Foundation president Angelica Berrie, award recipient Joan Schaefer, Ramapo College President Mercer at the recent Russ Berrie Award for Making a Difference ceremony held at Ramapo College. 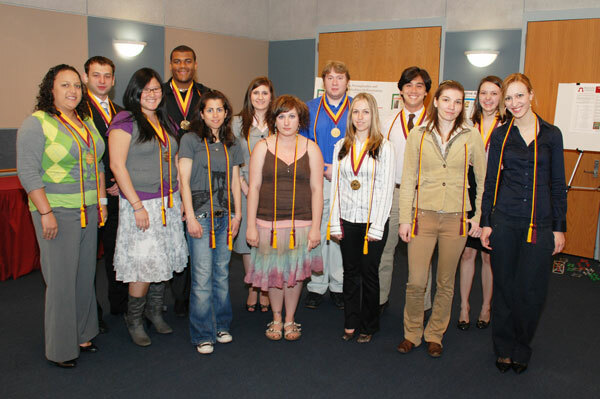 2010 Russ Berrie Award for Making a Difference participants. 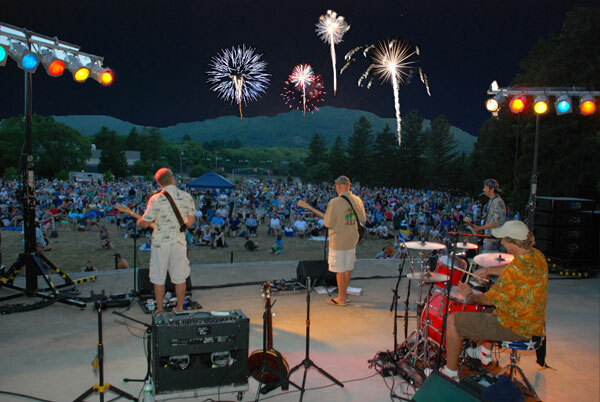 The Jimmy Buffett tribute band Jimmy & the Parrots will appear as part of this year's TD Bank Summer Concert Series, July 8, Ramapo College Bandshell, 8 p.m. Fireworks are scheduled at 9:30 p.m. 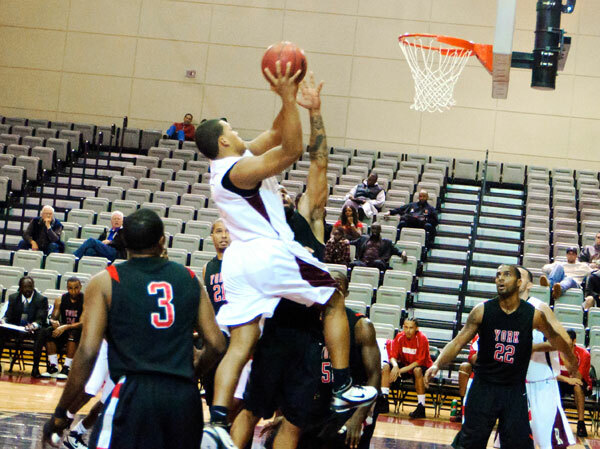 Admission is free, parking is $5 per vehicle. 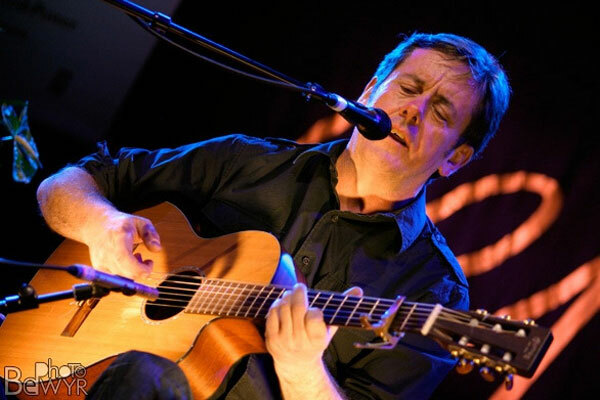 The critically acclaimed folk-rocker and child of a musical Irish family, Luka Bloom is scheduled to perform Saturday, October 2, Sharp Theater. 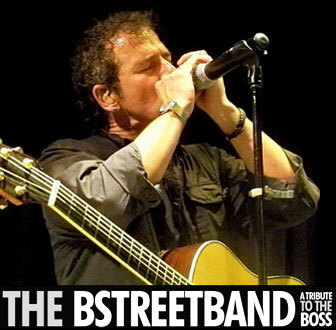 The B Street Band, a Springsteen tribute band, will appears as part of this year's TD Bank Summer Concert Series, July 15, Ramapo College Bandshell, 8 p.m. 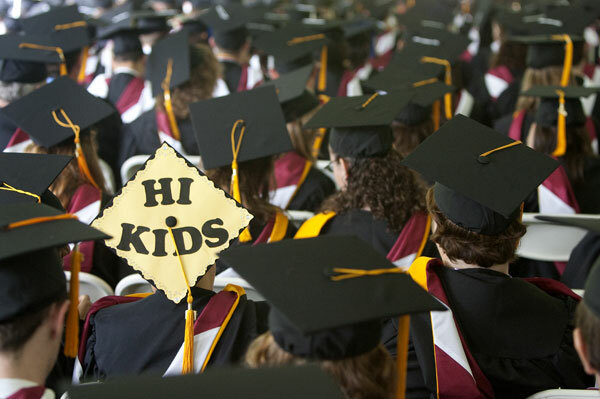 Admissions is free, parking is $5 per vehicle. 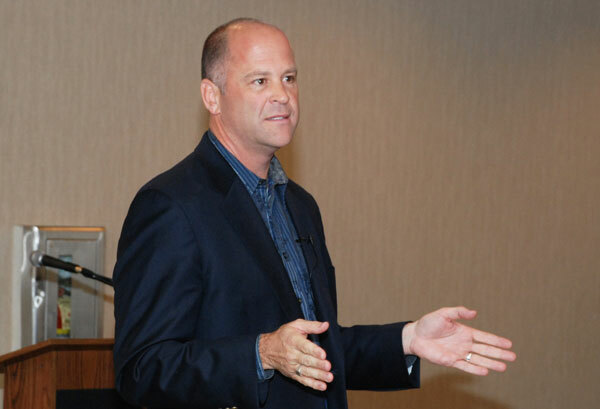 Ramapo College's Center for Innovation and Professional Learning held a one-day Leadership Forum for new and veteran managers. 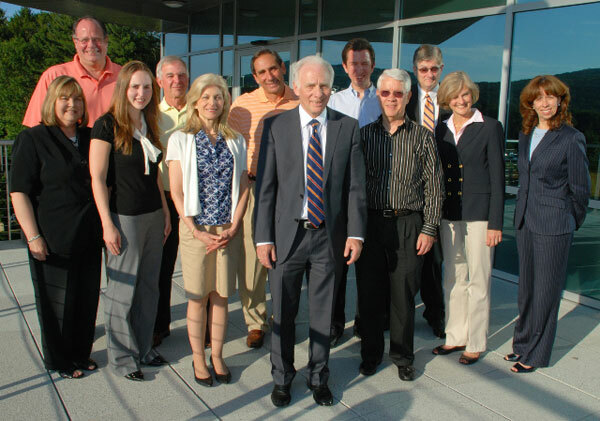 Members of the Anisfield School of Business Alumni Advisory Board and Business Advisory Board held a joint meeting. 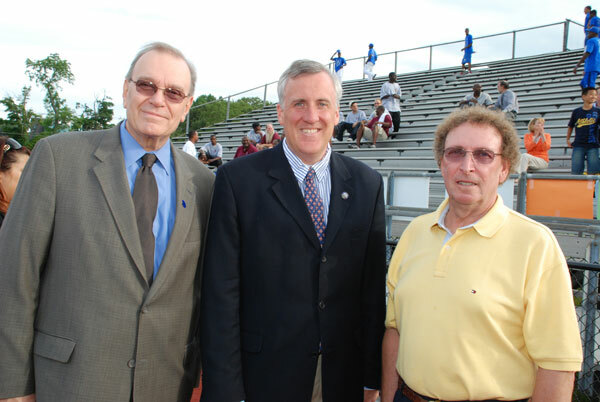 Richard Mingoia, H Olympics Youth Consultation Services, Dennis McNerney, County Executive of Bergen County and Frank Shapiro, Ramapo College Foundation Board of Governor at the H Olympics event held at Ramapo College. 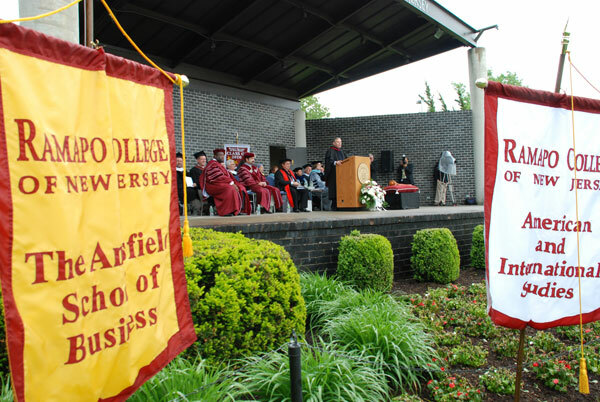 The Mercer County Regional Chapter of the Ramapo College Alumni Association held its inaugural event, a baseball game featuring Trenton Thunder vs. Altoona Curve, June 17. 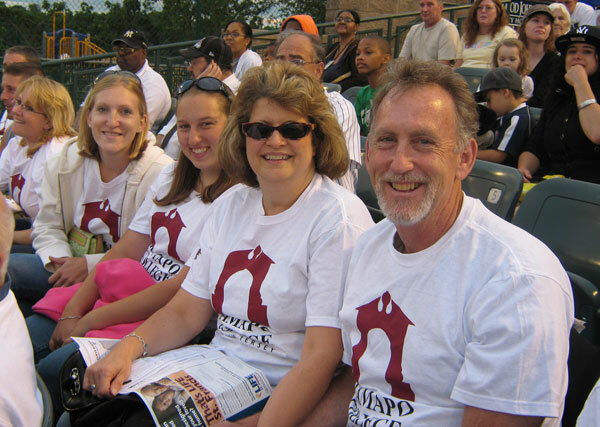 Ramapo alumni had their own designated dug out in the stands, giving them an opportunity to chat and cheer for the home team, Trenton Thunder. 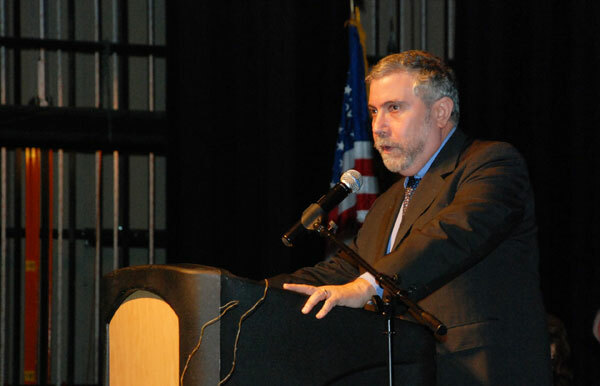 Ramapo College of New Jersey's School of Social Science and Human Services continued its support of Ramapo Readers, a book drive that collects books for schools in Paterson, New Jersey, with the help of Girl Scouts from Troop 613 in Oakland. 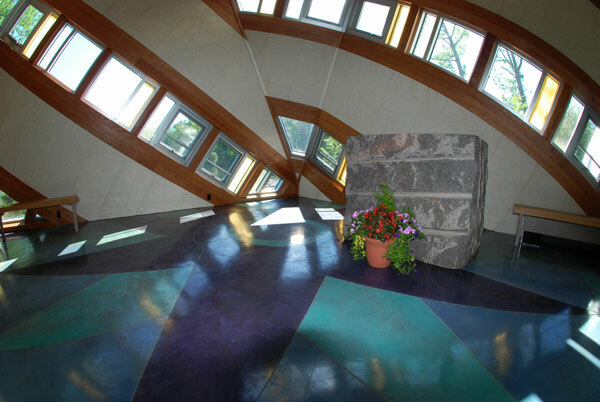 Interior view of the Ramapo College's Salameno Spiritual Center Peace Pavilion. 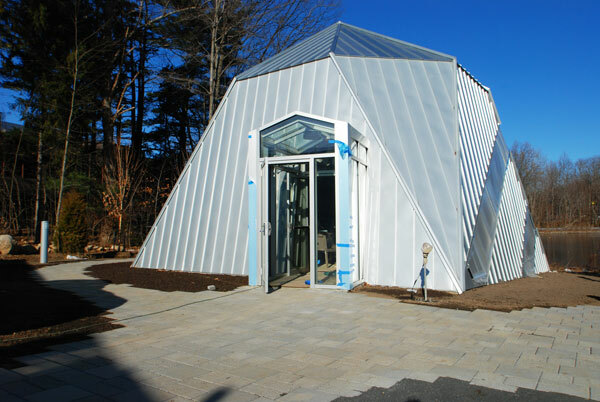 Salameno Spiritual Center benefactors and donors gathered for a tour of the new facility. 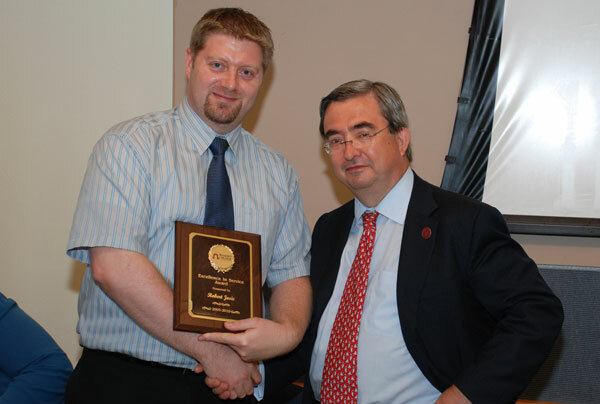 Robert Josic, Assistant Web Administrator, receives the 2009-2010 Ramapo College Staff Excellence in Service Award from President Mercer. 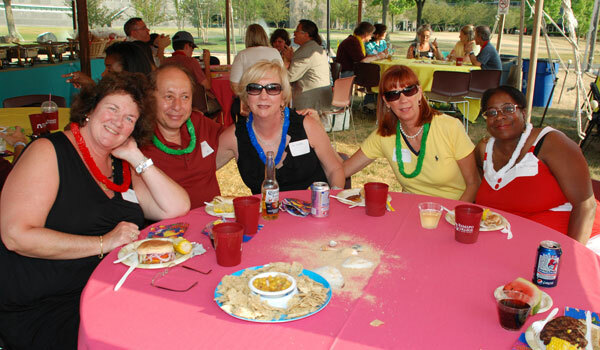 Members of the Ramapo College Alumni Association from Bergen County enjoyed a barbecue prior to the first TD Bank Summer Concert of the summer. 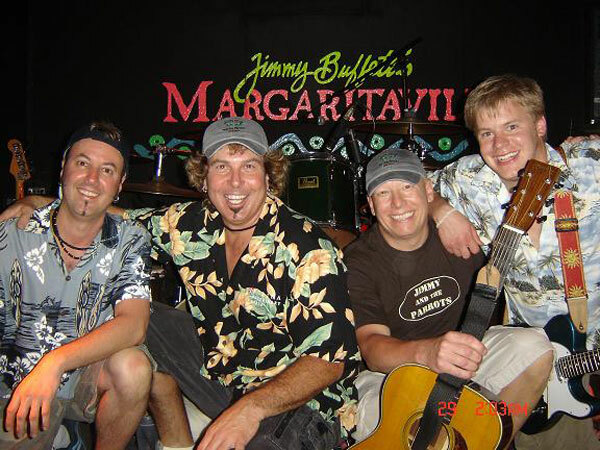 Jimmie and the Parrots, Jimmy Buffett tribute band, kicked off the 2010 TD Bank Summer Concert Series at Ramapo College. 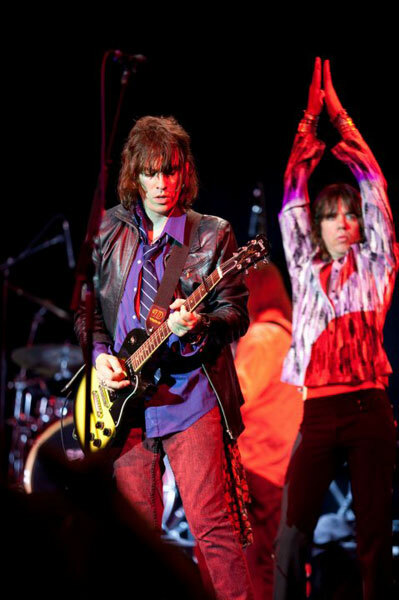 The Glimmer Twins, a Rolling Stones tribute band, will appear as part of this year's TD Bank Summer Concert Series, July 22, Ramapo College Bandshell, 8 p.m. 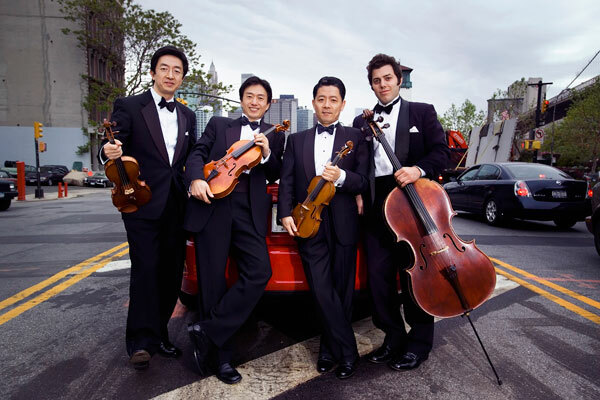 Admissions is free, parking is $5 per vehicle. 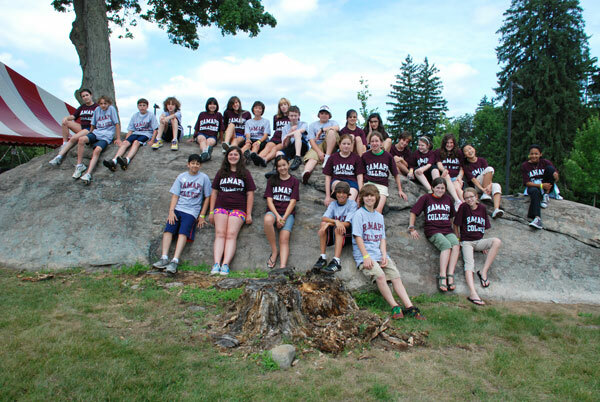 Participants in Ramapo College's Explorer Summer Academic Camp for middle school students take a break from hands-on learning activities. 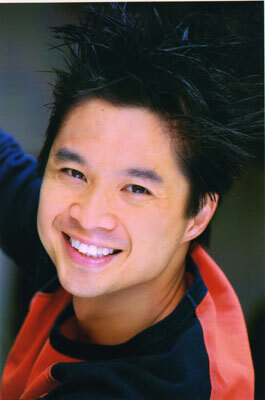 The fall 2010 Berrie Center season will feature comedian Dat Phan, the first winner of Last Comic Standing, plus other contestants, September 25, 8 p.m., Sharp Theater. 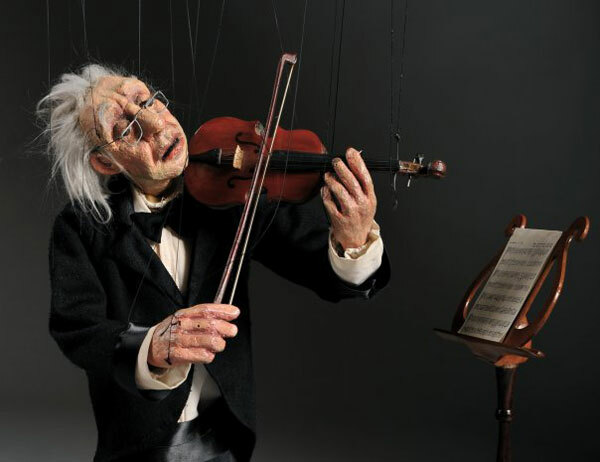 The Cashore Marionettes production of Simple Gifts, will close out the Berrie Center's October schedule when they present their magical production, October 24, 3 p.m., Sharp Theater. 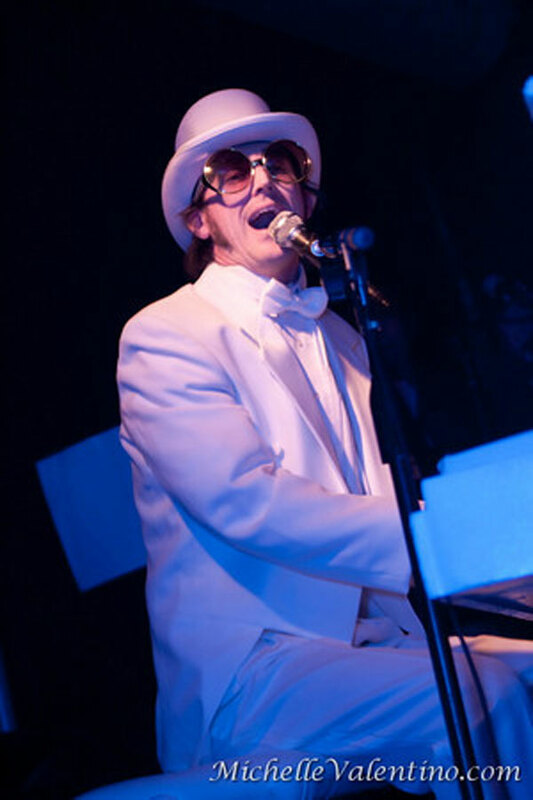 Bobby and The Jets, an Elton John tribute band, will appear as part of this year's TD Bank Summer Concert Series, July 29, Ramapo College Bandshell, 8 p.m. 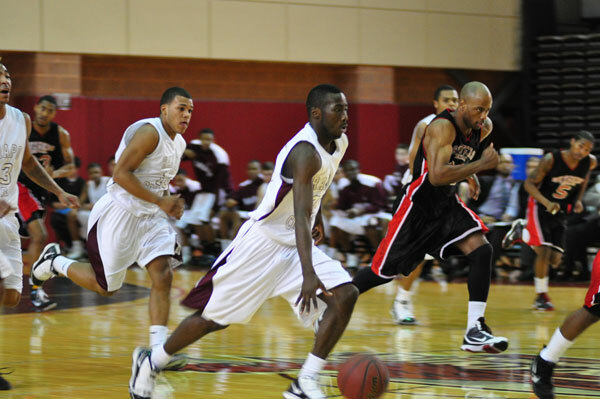 Admissions is free, parking is $5 per vehicle. 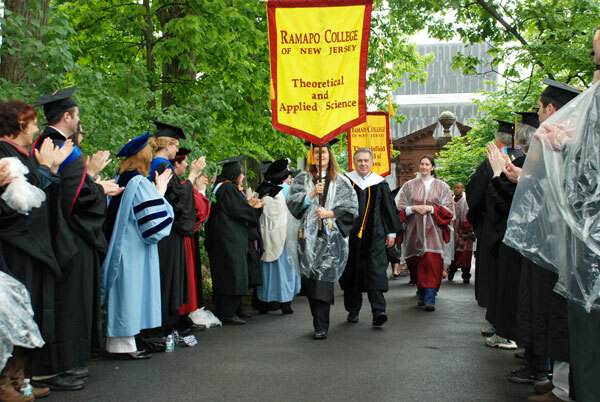 Ramapo College has scheduled eight Immediate Decision Days, an opportunity for qualified high school students to apply and receive a notice of acceptance in just one day. 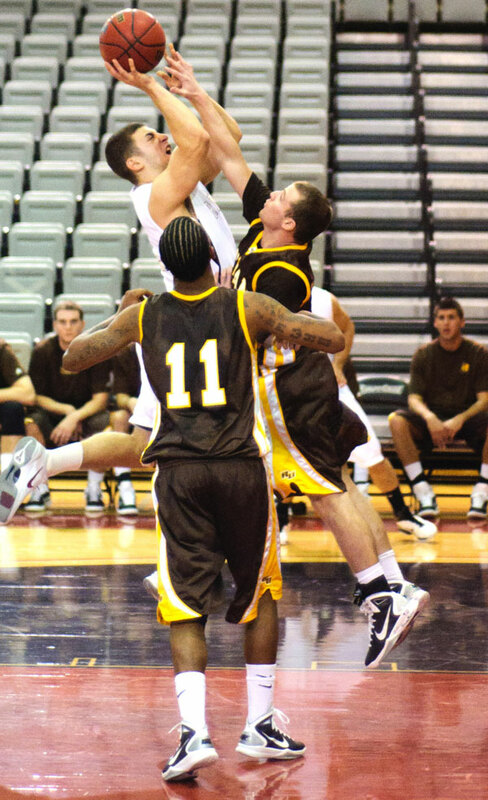 The first IDD is Thursday, August 19. 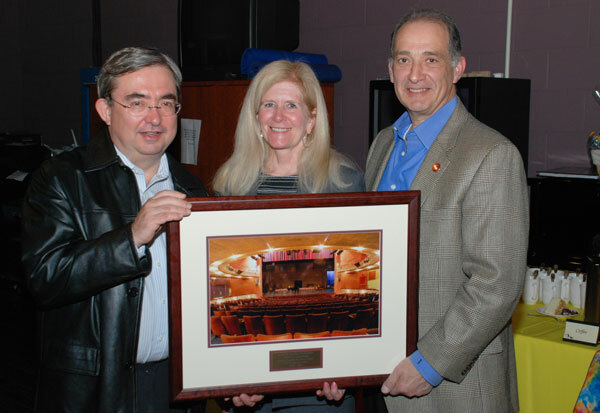 President Mercer presented a thank you gift to Wendy and Rick DeSilva of Liberty Hyundai and Liberty Subaru for their support of the Tenth Annual Performing Arts Dinner Series. 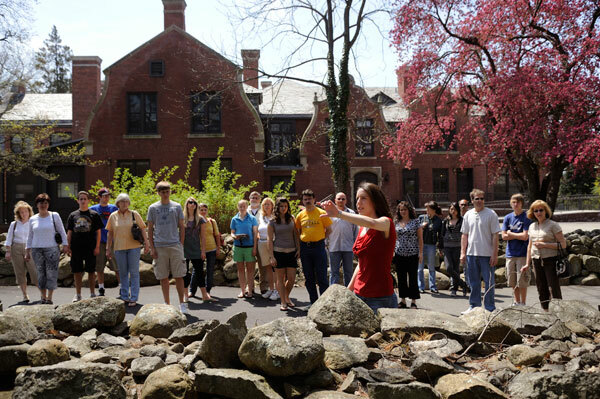 Visiting high school students from Jiangsu Province China gathered with members of the Ramapo College Admissions staff at the College's bandshell. 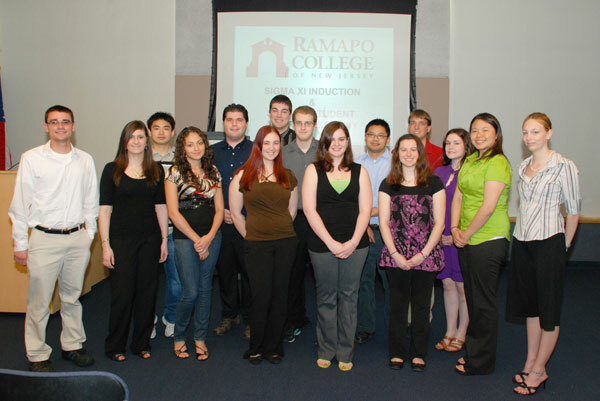 Members of the Ramapo College Honors program Student Executive Board gathered before the beginning of the fall 2010 semester. 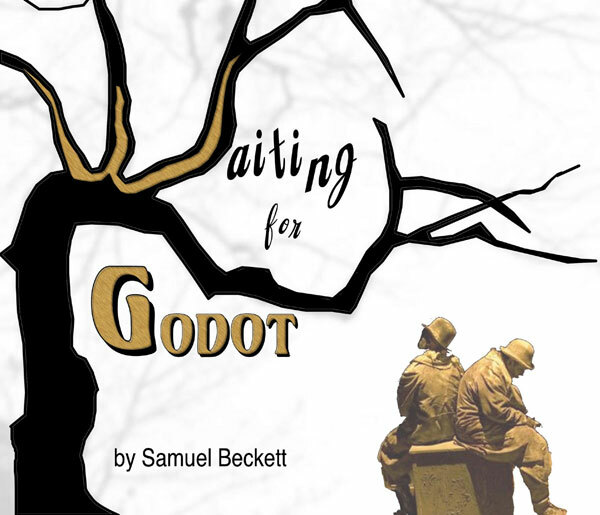 The fall 2010 Berrie Center season will include the Ramapo College Theater program production of Waiting for Godot in the Sharp Theater, October 15 -17, 21 - 23, 8 p.m. and October 23 at 2 p.m. Tickets: $5 with Ramapo I.D., $10 General Admission. 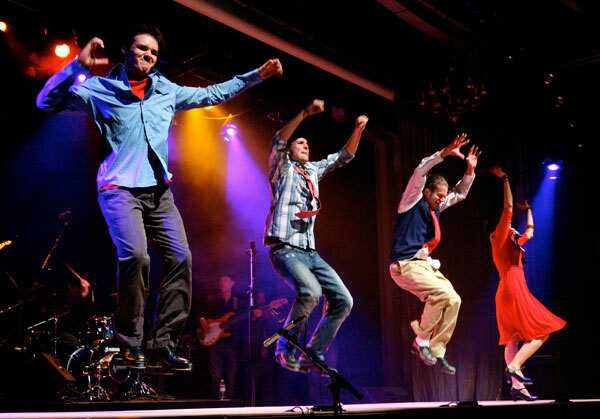 The Berrie Center presents Rhythmic Circus, A Percussive Tap Dance Extravaganza, Sunday, October 3, 3 p.m., Sharp Theater. 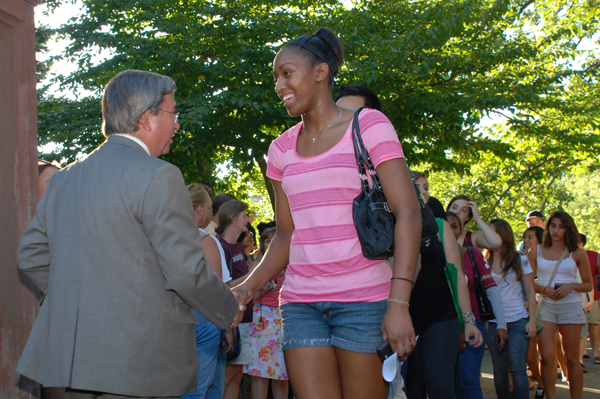 President Peter P. Mercer greets members of the class of 2014. 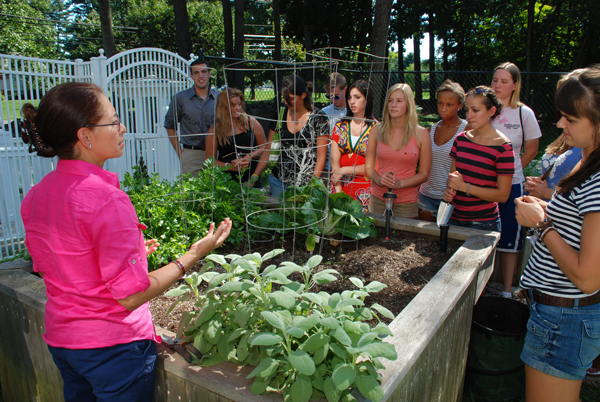 Ramapo College resident students living in sustainable housing participated in a workshop led by Dr. Jackie Ehlert-Mercer. 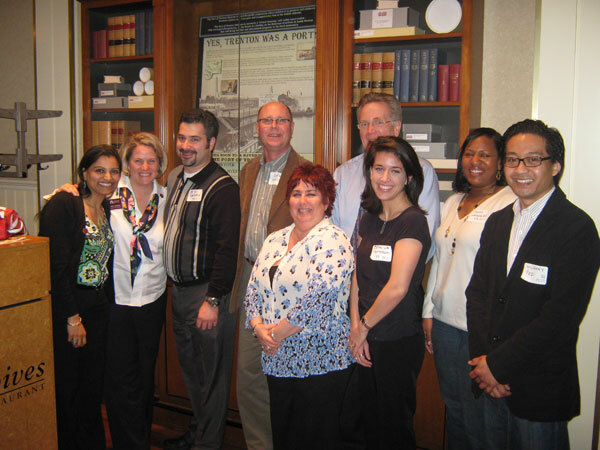 Members of the Center for Student Success with President Peter P. Mercer before he greeted members of the class of 2014. 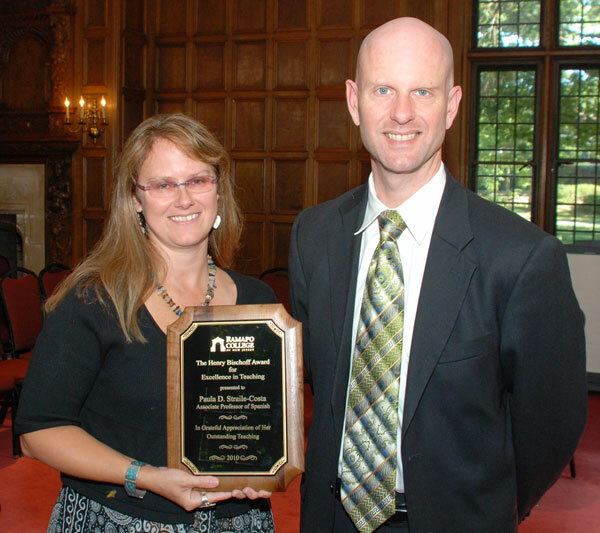 Bischoff Award winner Paula Straile-Costa, associate professor of Spanish, with Vice Provost for Curriculum and Assessment Eric Daffron. 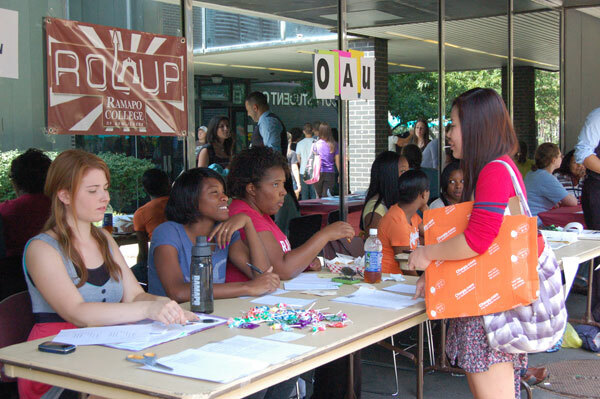 Ramapo College students attend the annual Club Fair. 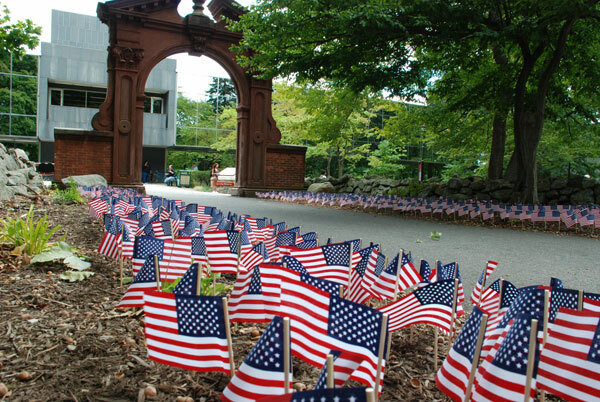 Ramapo College remembers the victims of 9/11 with American Flags placed near the Havemeyer Arch by members of the College Republicans. 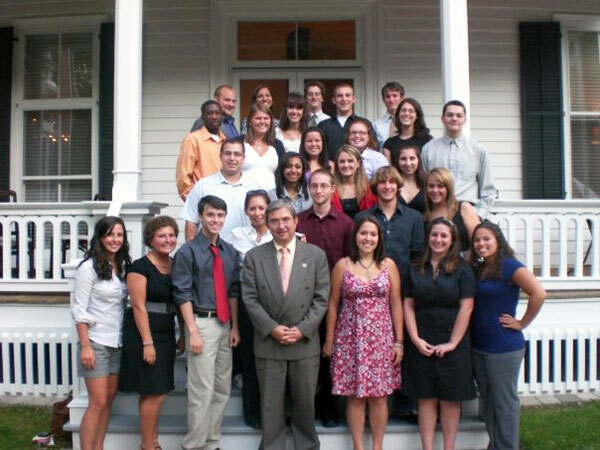 President Peter P. Mercer and Jackie Ehlert-Mercer with members of the Ramapo College Student Government Association during their visit to the Havemeyer House. 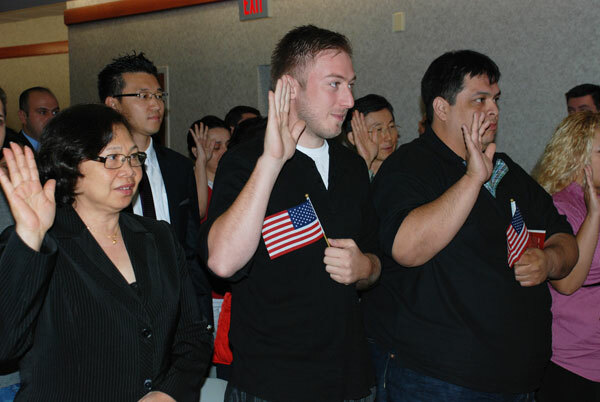 New American citizens taking the oath of allegiance during the Ramapo College American Democracy Project Constitution Day program. 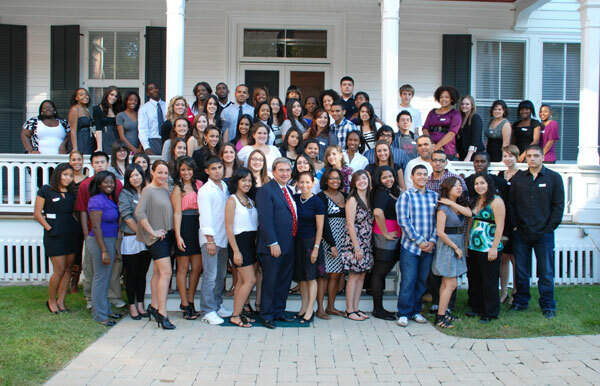 President Peter P. Mercer welcomed the class of 2014 Educational Opportunity Fund program students. 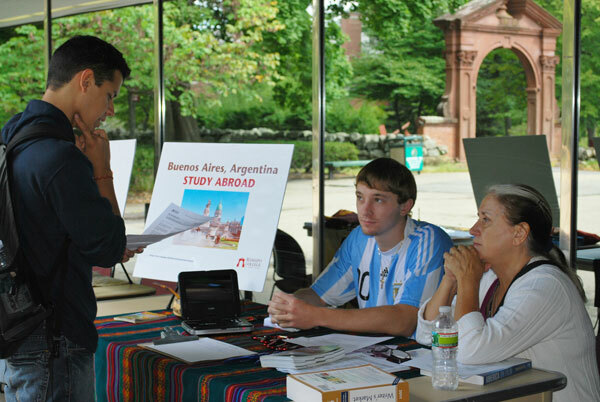 Ramapo College students explored study abroad opportunities during the Study Abroad Fair. 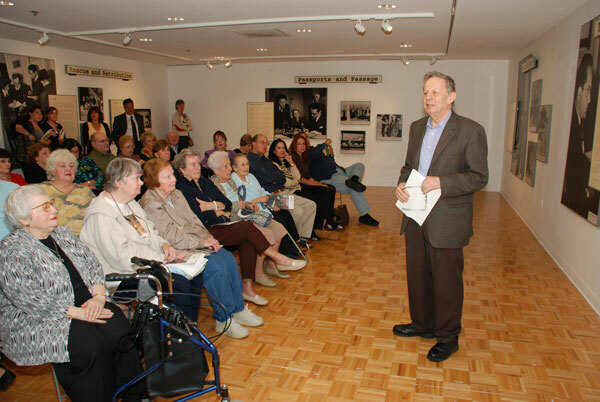 Mordecai Paliel, former Director of Yad Vashem, the Jewish people's living memorial to the Holocaust, spoke during spoke during the reception for the current Pascal Gallery exhibit, Varian Fry, ASSIGNMENT: RESCUE, 1940-41. 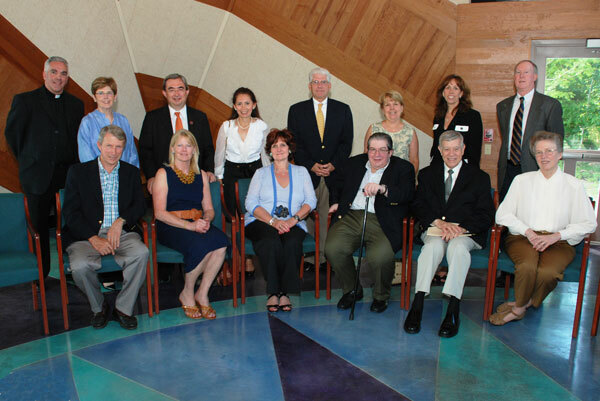 Ramapo College's distinguished professor of literature and philosophy, Anthony Padovano, (center) is joined by alumni during a tour of the new Salameno Spiritual Center. 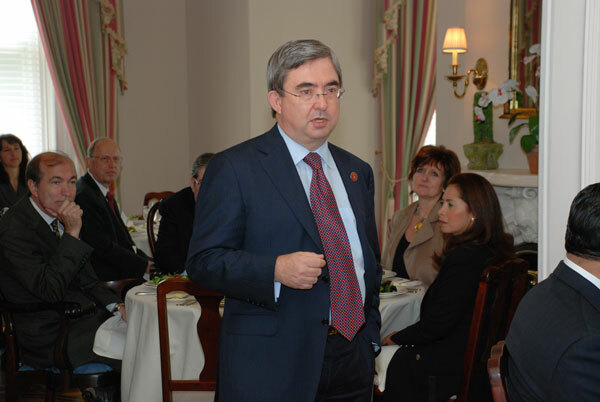 Members of the Ramapo College Alumni Board were guests of President Peter P. Mercer and Dr. Jackie Ehlert-Mercer at the Havemeyer House. 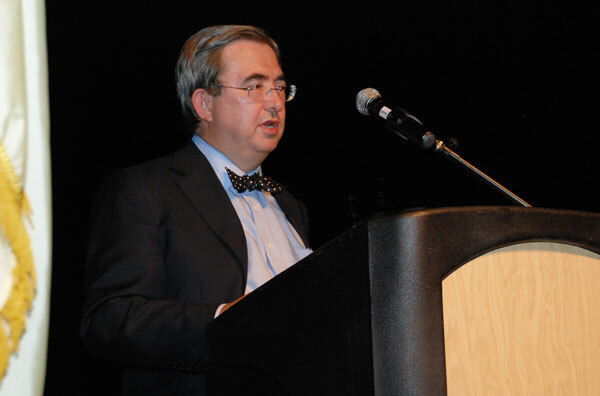 President Peter P. Mercer delivered the State of the College Address. 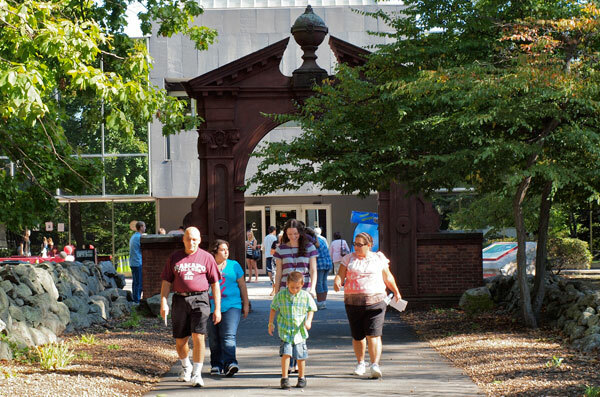 Ramapo College first-year students and their families participated in the College's Annual Family Day. 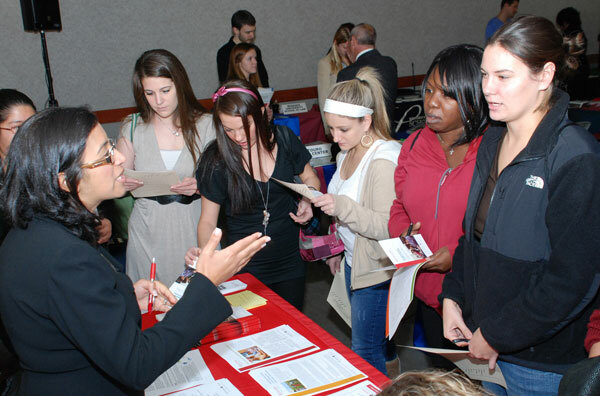 Ramapo College First-Year students attended the Majors Fair. 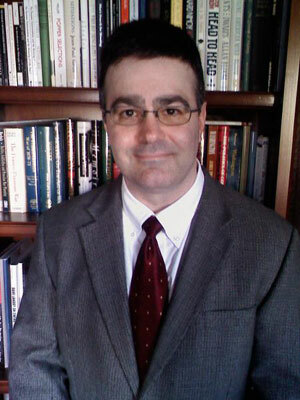 Economics expert and author Joseph Calandro Jr. will be the featured speaker at the College's Seventh Annual Sebastian J. Raciti Memorial Lecture and Reception, November 4, Trustees Pavilion, 7 p.m.
Ramapo College 'Walk a Mile in Her Shoes' supports Violence Awareness Week. 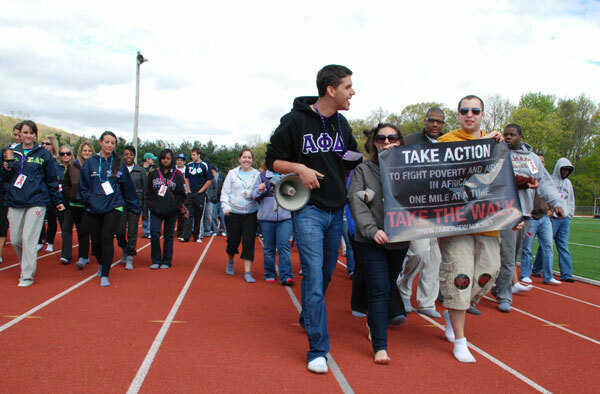 Ramapo College participants gathered for the Annual Lee Denim Day to support breast cancer research. 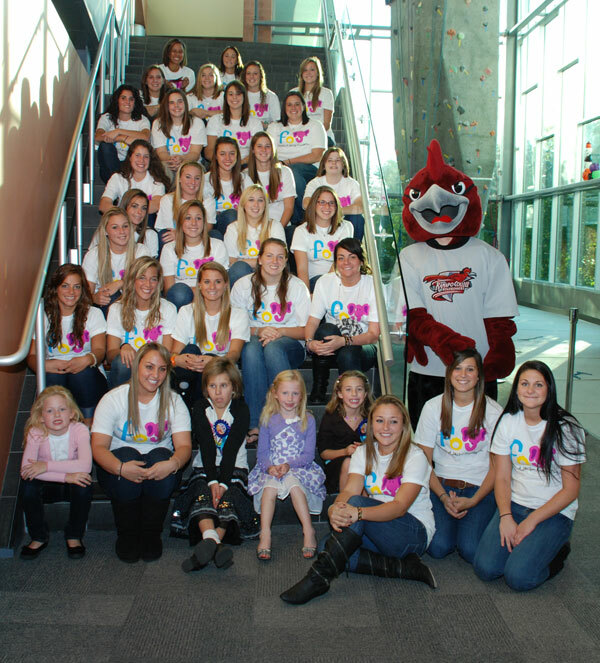 Ramapo College Roadrunner Women's Lacrosse team adopted two girls, Sophia and Mary Nelson, Mary has a brain tumor. 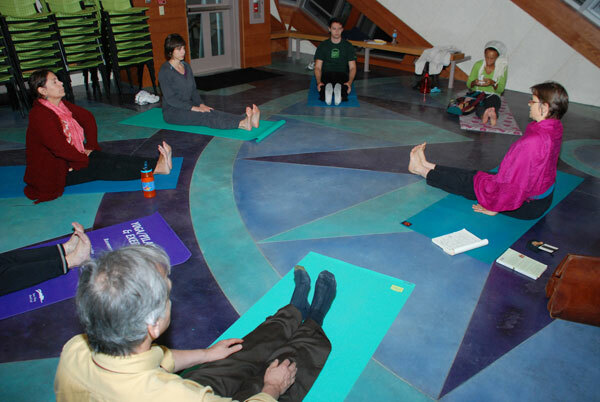 Yoga class held at the new Salameno Spiritual Center. 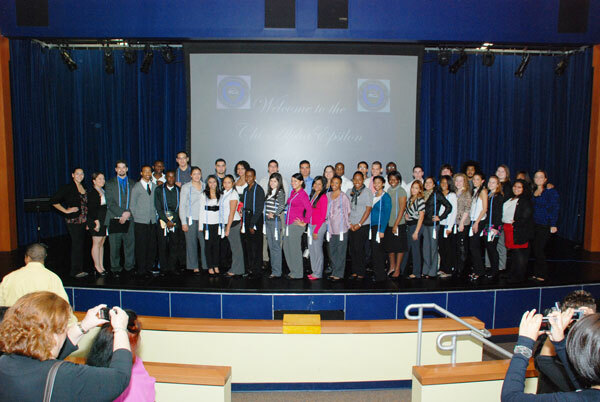 New inductees into Chi Alpha Epsilon, the honor society for EOF. 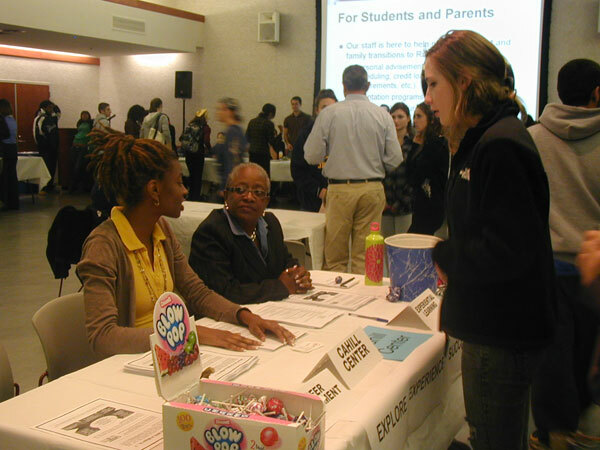 Ramapo College showcased graduate school options during Grad School Day sponsored by the Cahill Center. 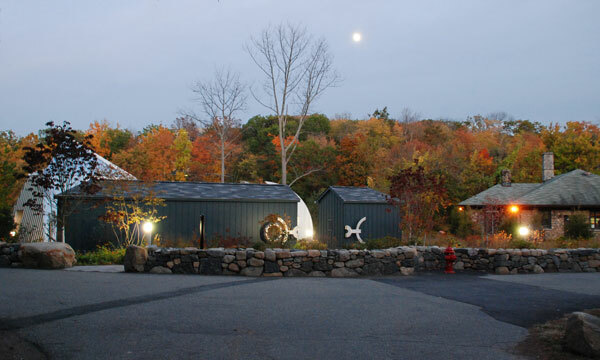 The new Salameno Spiritual Center at night. 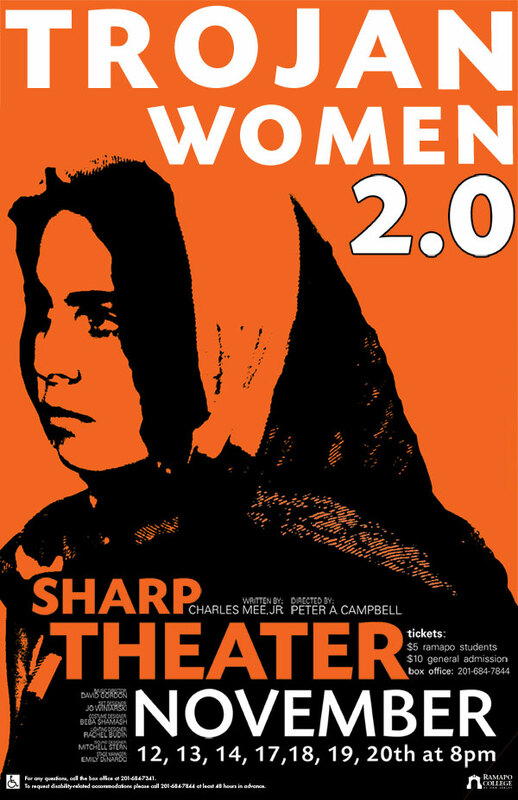 The Shanghai Quarter will perform at the Berrie Center, Saturday, December 4, Sharp Theater, 8 p.m.
RCNJ Theater program presents 'Trojan Women 2.0,' November 12, 13, 14, 17, 18 and 20, 8 p.m., Sharp Theater. 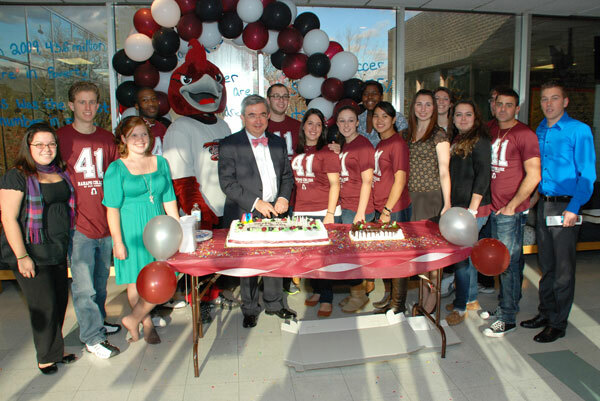 President Peter P. Mercer is joined by students celebrating Ramapo College's Founders' Day. 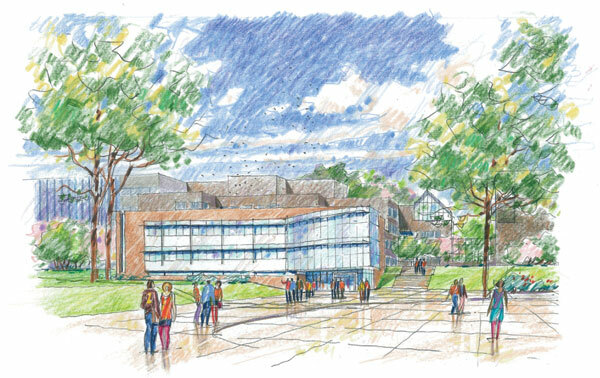 Artist's visionary rendition of the new Adler Center for Nursing Excellence announced on November 17. 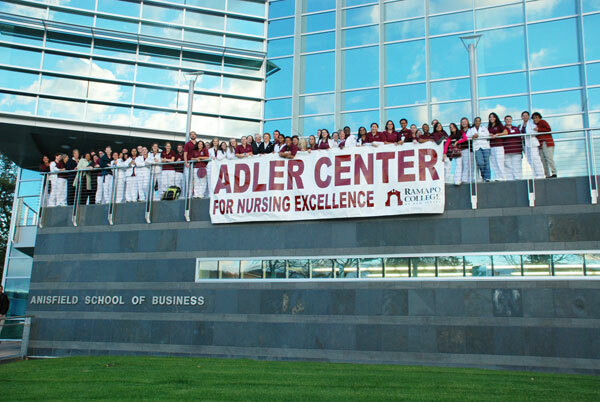 Ramapo College nursing students hold a banner announcing the new Adler Center for Nursing Excellence. 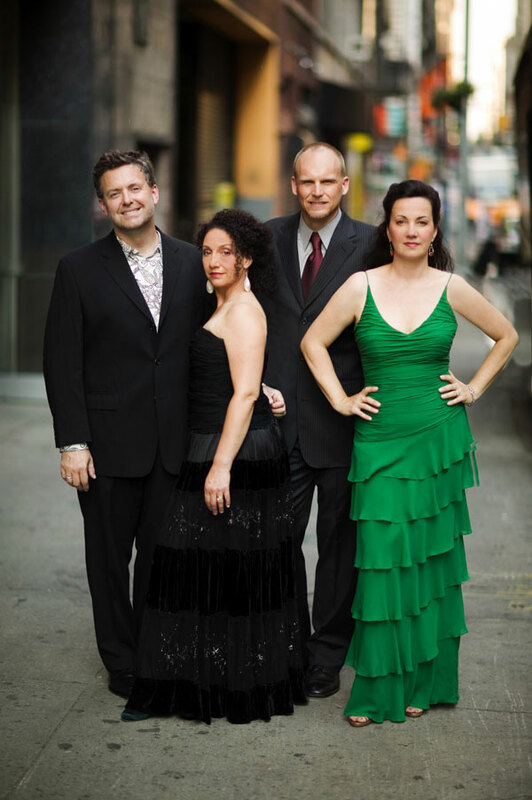 Jazz at the Berrie Center presents a New York Voices Holiday, Saturday, December 18, Sharp Theater, 8 p.m. 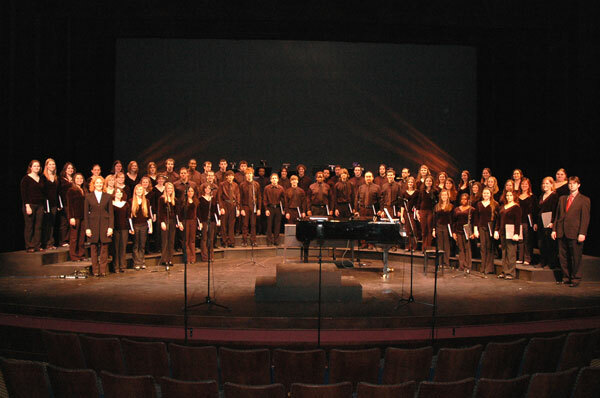 The Ramapo Chorale will present a holiday concert, Sunday, December 5, Sharp Theater, 3 p.m. 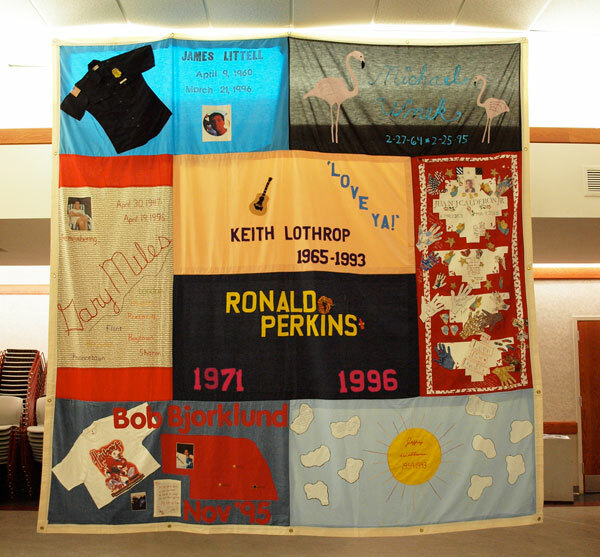 The Berrie Center will present 'An Eileen Ivers Christmas,' Sunday, December 12, Sharp Theater, 7 p.m.
As part of World AIDS Day, Ramapo College displayed a quilt made by friends and family members of AIDS victims. 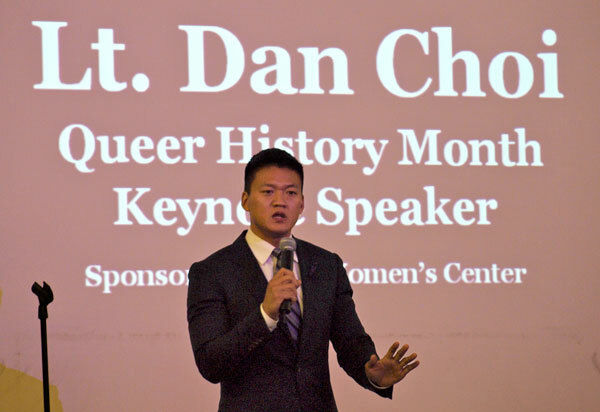 Theta Phi Alpha fraternity hosted a 'Cut-a-thon' to collect hair to be crafted into high-quality wigs for women affected by hair loss from cancer. 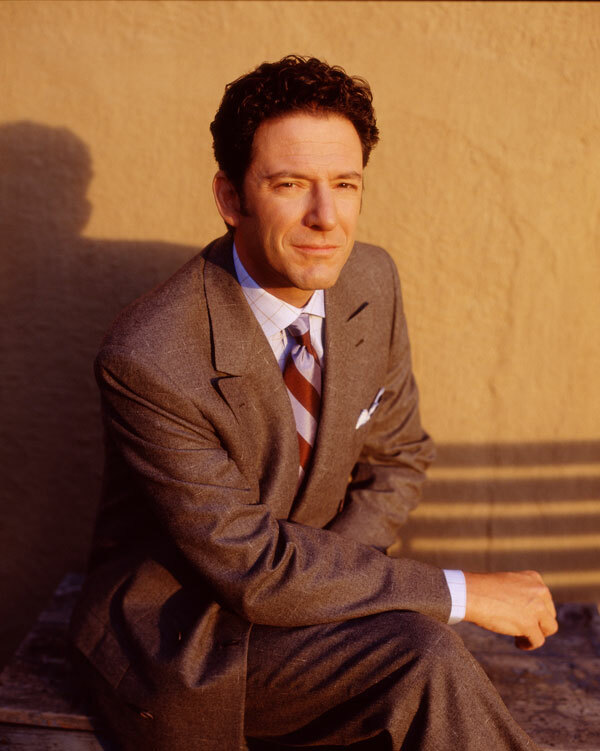 Jazz at the Berrie Center will present The John Pizzarelli Quartet, Saturday, January 29, Sharp Theater, 8 p.m. to kick off the Spring 2011 Season. 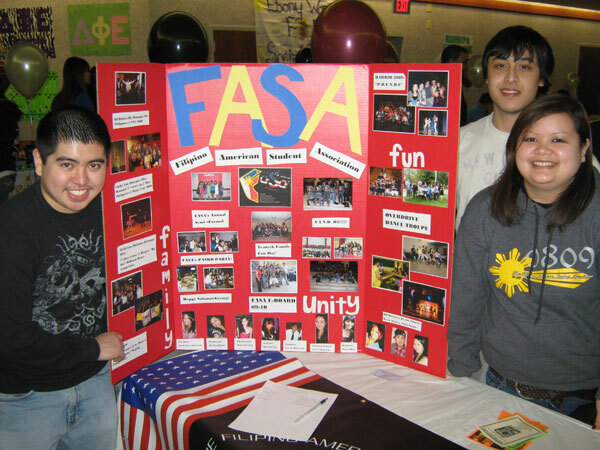 Students, faculty and staff enjoyed a Multicultural Festival sponsored by the Ramapo College Culture Club. 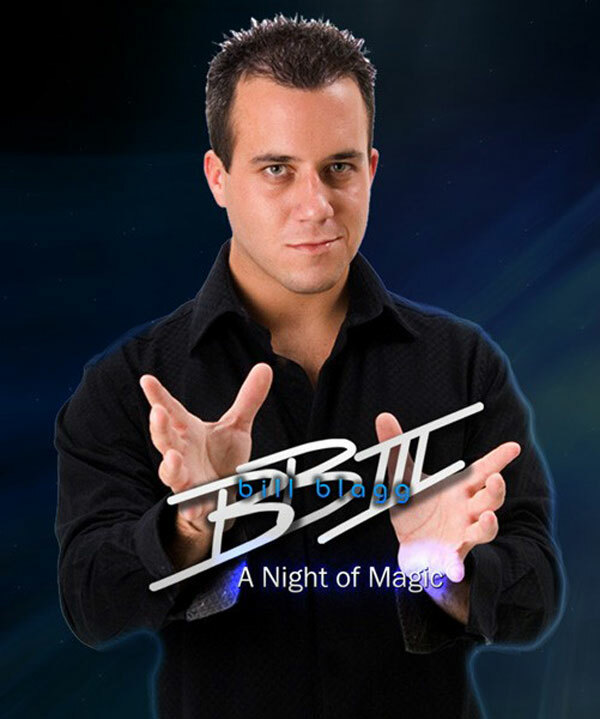 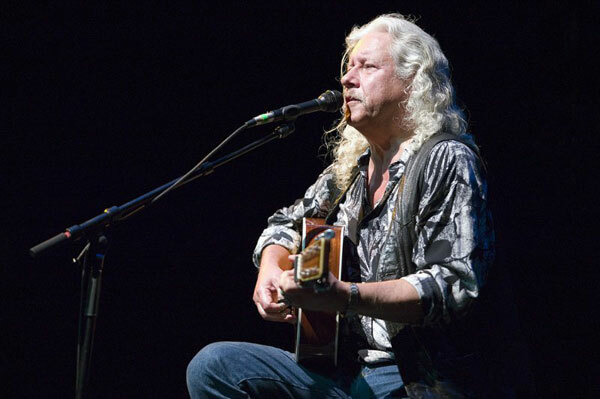 The Berrie Center will present Bill Blagg, 'A Night of Magic,' Saturday, February 12, Sharp Theater, 8 p.m.
A Simon and Garfunkel Retrospective performance with A.J. 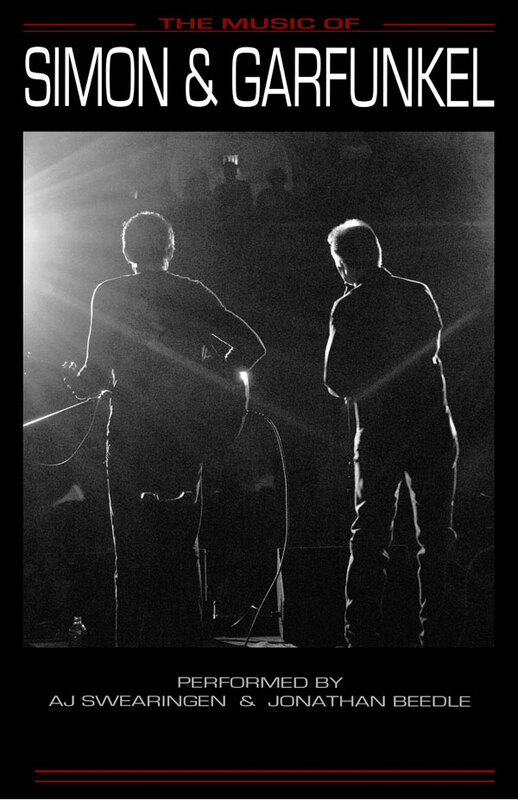 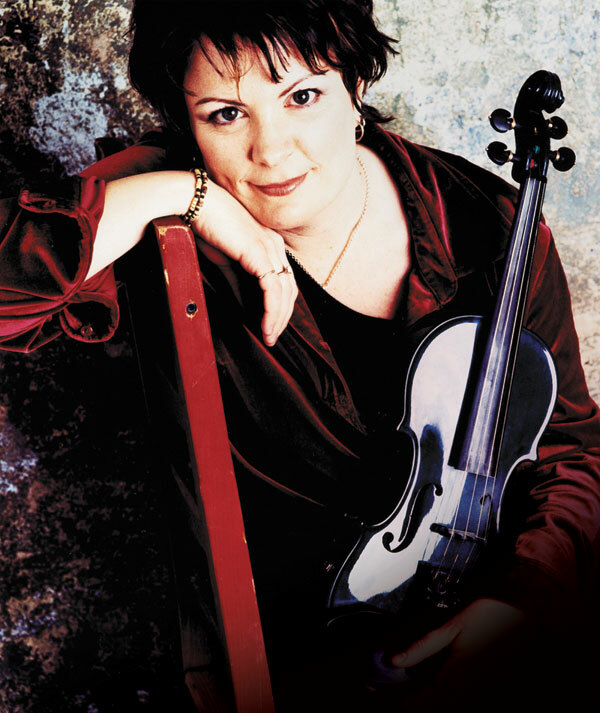 Swearingen and Jonathan Beedle will be presented at the Berrie Center, Saturday, March 12, 8 p.m. 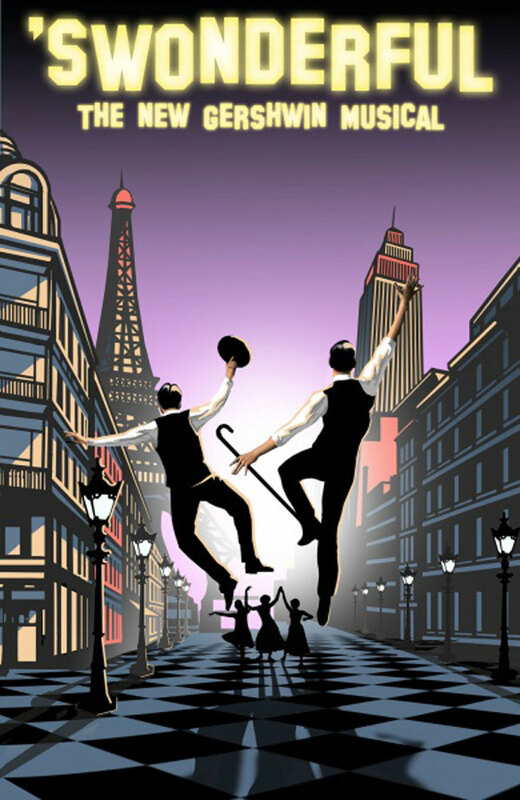 The new Gershwin Musical, 'S'Wonderful,' will be presented at the Berrie Center, Saturday, March 19 at 3 and 8 p.m. Tickets for 3 p.m.